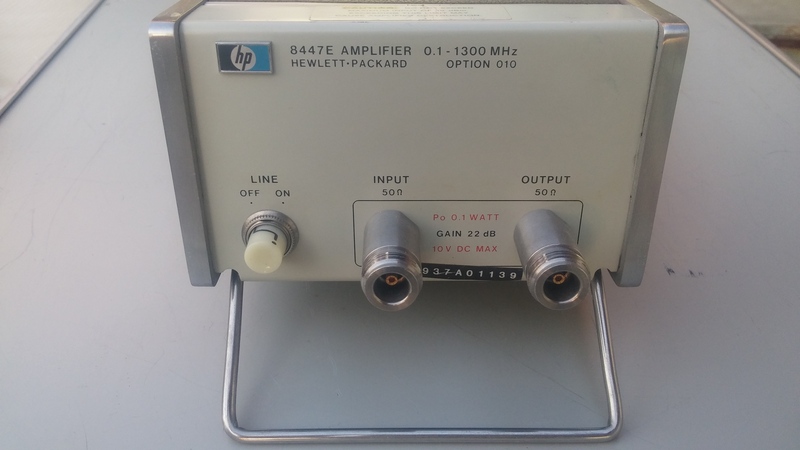 HP 11971K Harmonic Mixer 18.0-26.5 GHz - 20 DBm. Used equipment for sale. Contact us for more information. 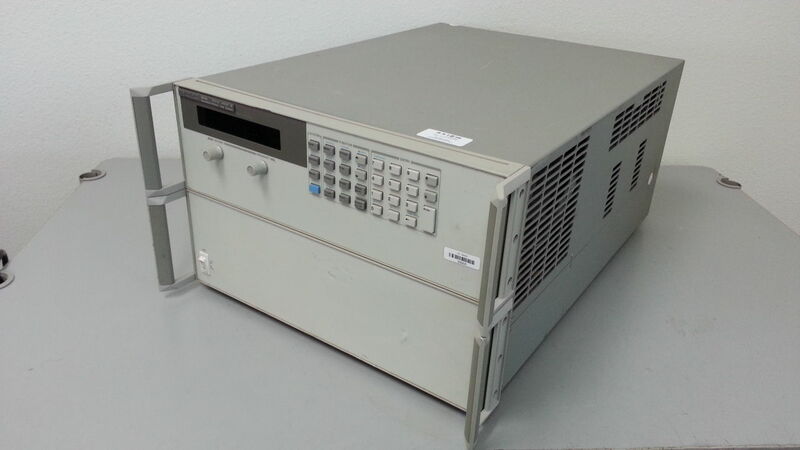 HP 70820A DC - 40 GHz Microwave Transition Analyzer. Used equipment for sale in perfect working conditions. Buy it now! Contact us for further information. 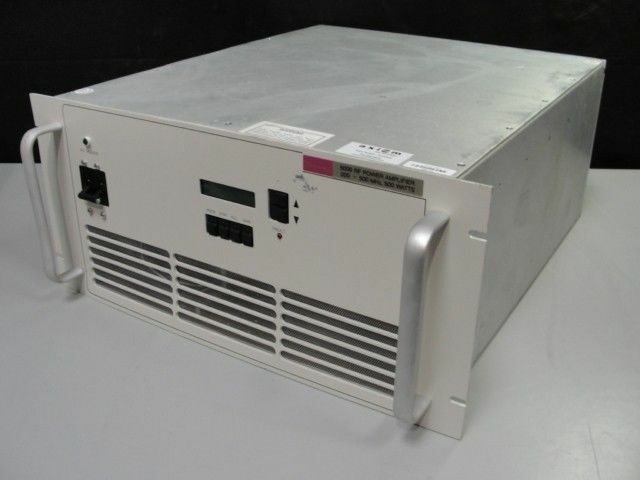 HP 70001A Mainframe w/ 70310A Precision Freq Ref & 70904A RF Section Modules. 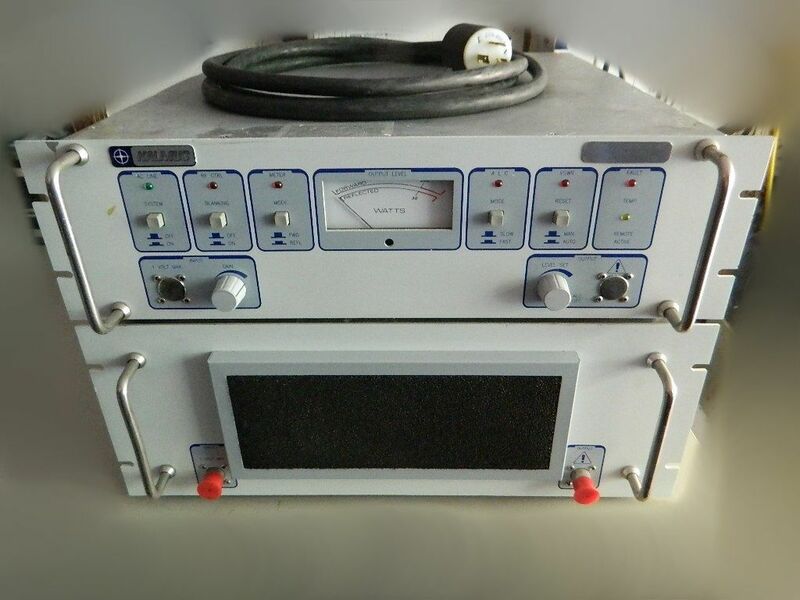 Used equipment in sale sold as is, with last calibration on 2009. Buy now! 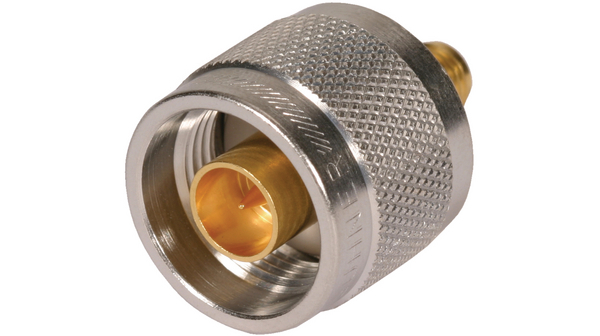 HP 11691D 2-18 GHz Directional Coupler - No Options included. 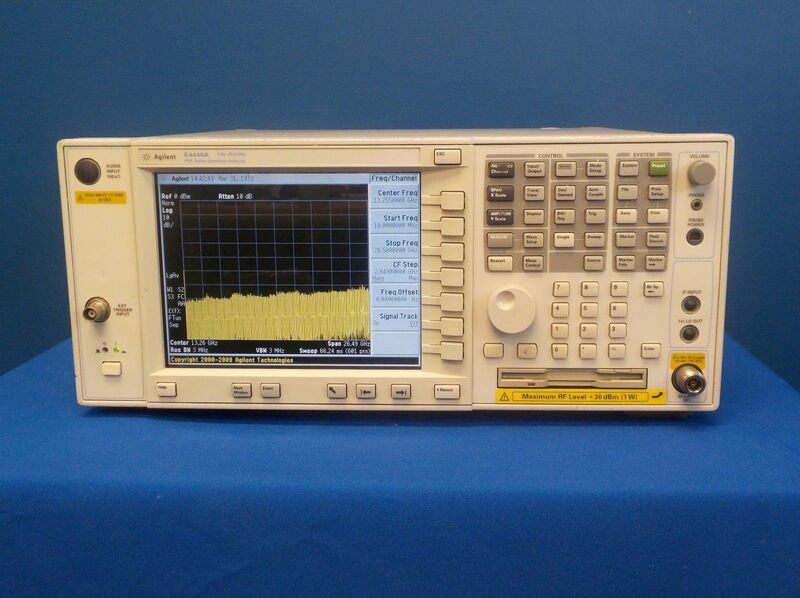 The Keysight 11691D is a single coupler for 2 to 18 GHz with a 20 dB coupling factor. The Philips / Fluke PM6303A RCL Meter is the fast and simple way to get information about the value and electrical characteristics of any component. Used. 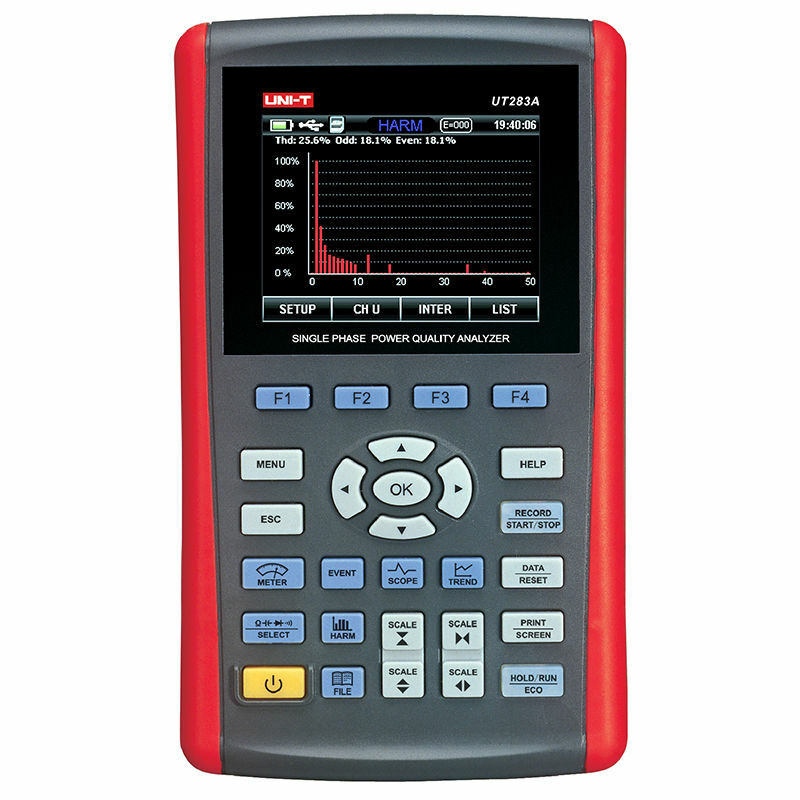 FLUKE 5500A is a multifunction calibrator. 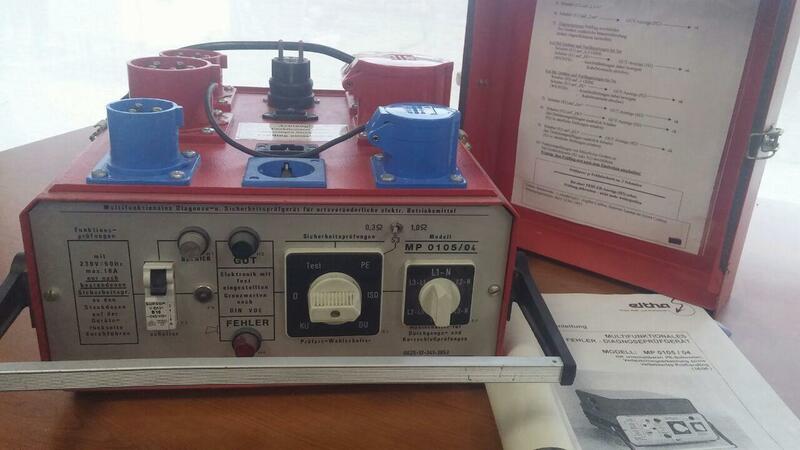 This equipment is in sale as used and in perfect working conditions, without the Option SC300. Shipping everywhere. 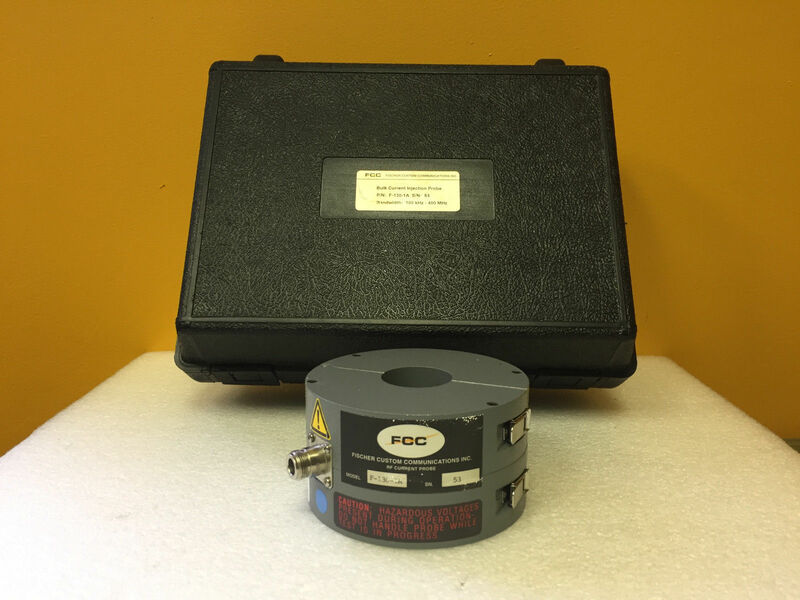 FCC FISCHER CUSTOM COMMUNICATION INC F-14-1 CURRENT MONITOR PROBE 10Hz - 1MHz. Used absorbing clamp in perfect working conditions. 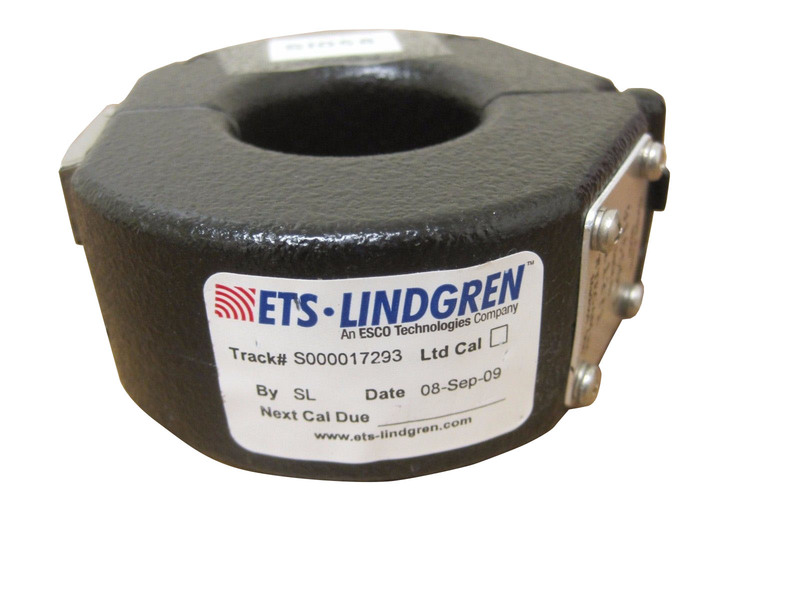 ETS-LINDGREN 91550-1 CURRENT PROBE CLAMP 10 kHz - 100 MHz - 5 Ohm. EMCTEST. 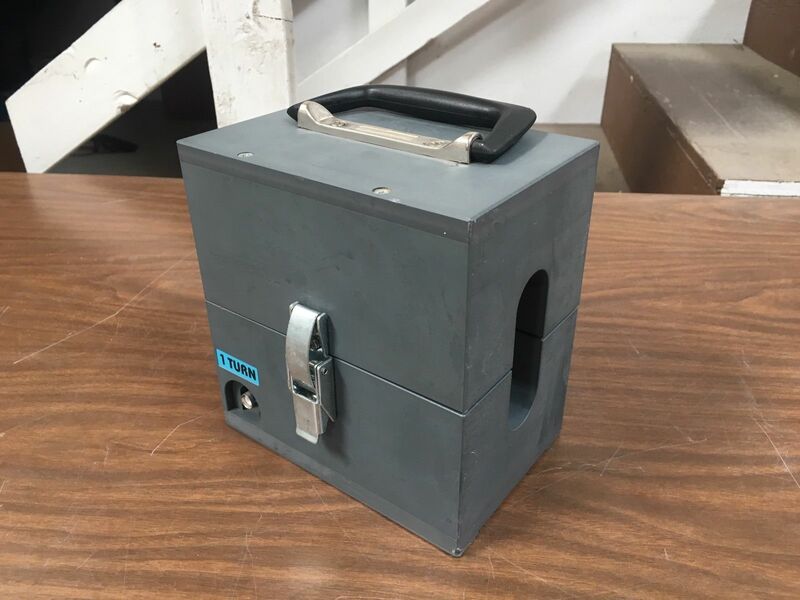 This item is used and in perfect working conditions. 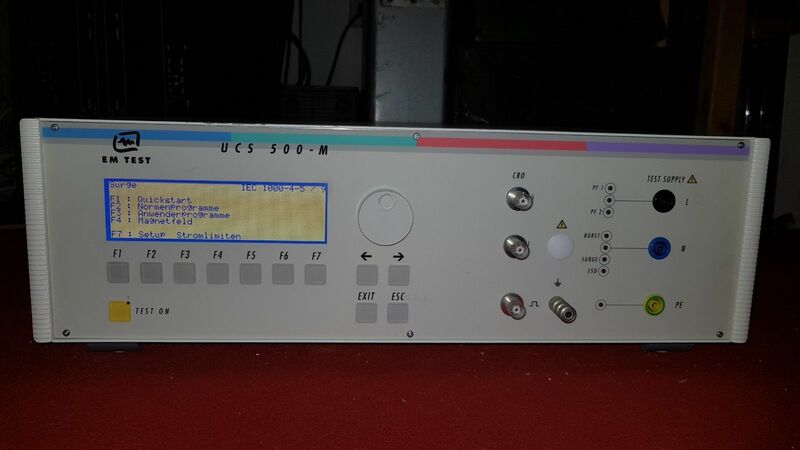 EM Test UCS-500 Ultra Compact Simulator Transient Generator. Used equipment. 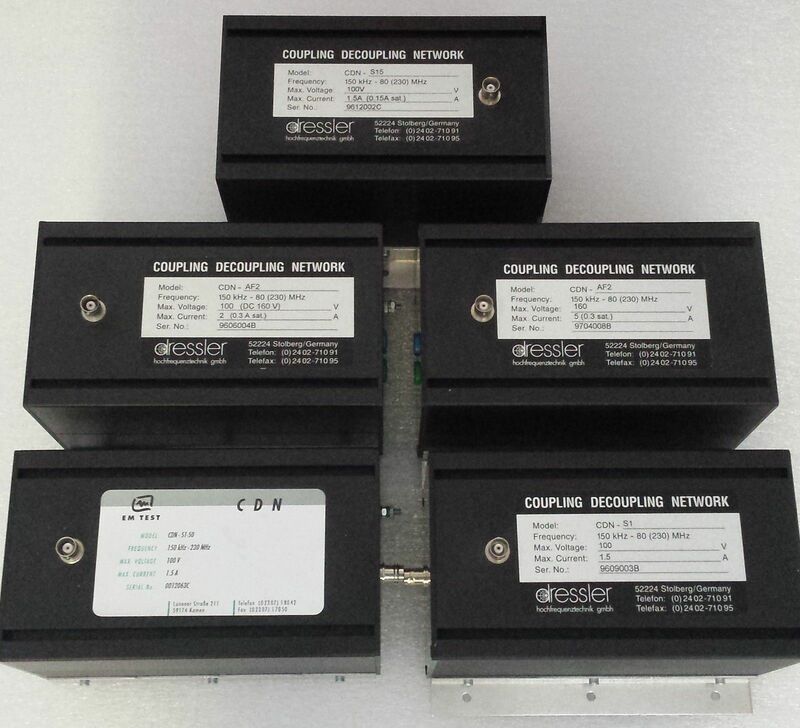 Tests as Burst/EFT IEC61000-4-5, ESD IEC61000-4-2, Surge IEC61000-4-4 and Flicker. 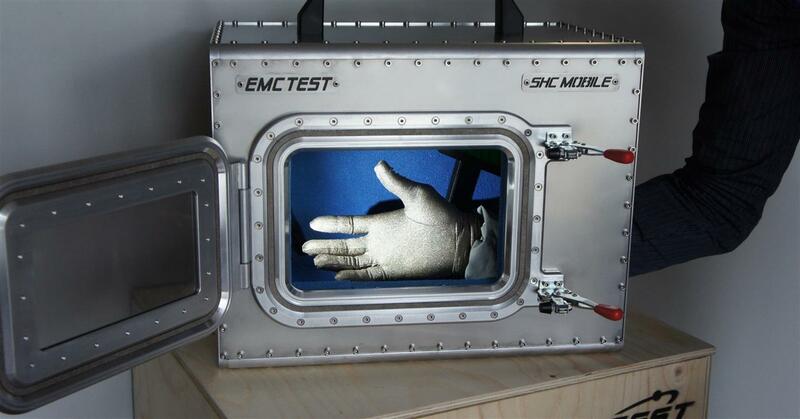 EMC Partner CN-MIG-BT for Cable Induction Tests Injection probe. 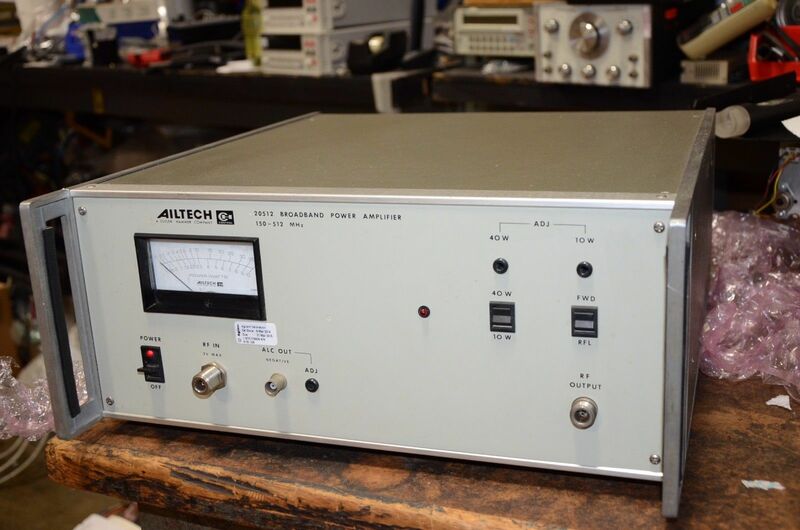 Frequency range: 10kHz up to 10MHz. For testing to MIL-STD-461 CS116 Cable Bundle. 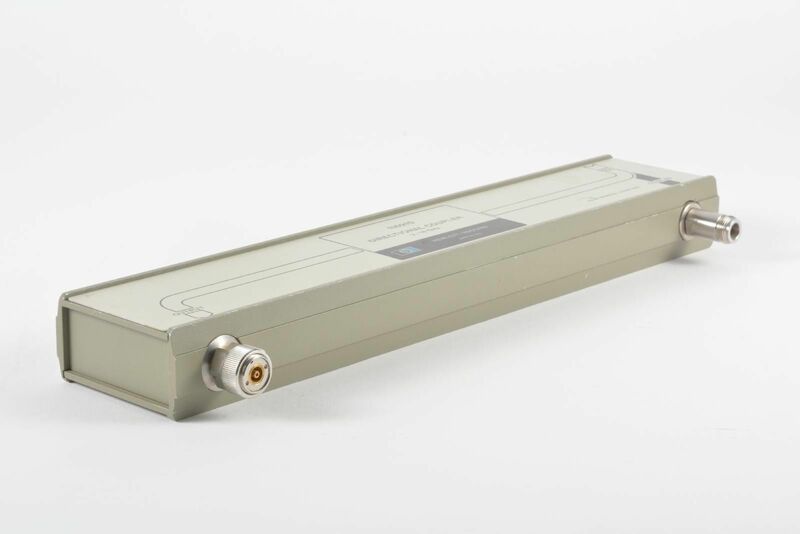 Logarithmic Antenna - Electro-Metrics EM-6950, 200 MHz to 1 GHz, 50 ohm Impedance Type N.
The Eaton 15100B is a solid-state broadband linear amplifier. Bandwidth over 500-1000 MHz Range. 44 dB gain. Used Equipment in sale. 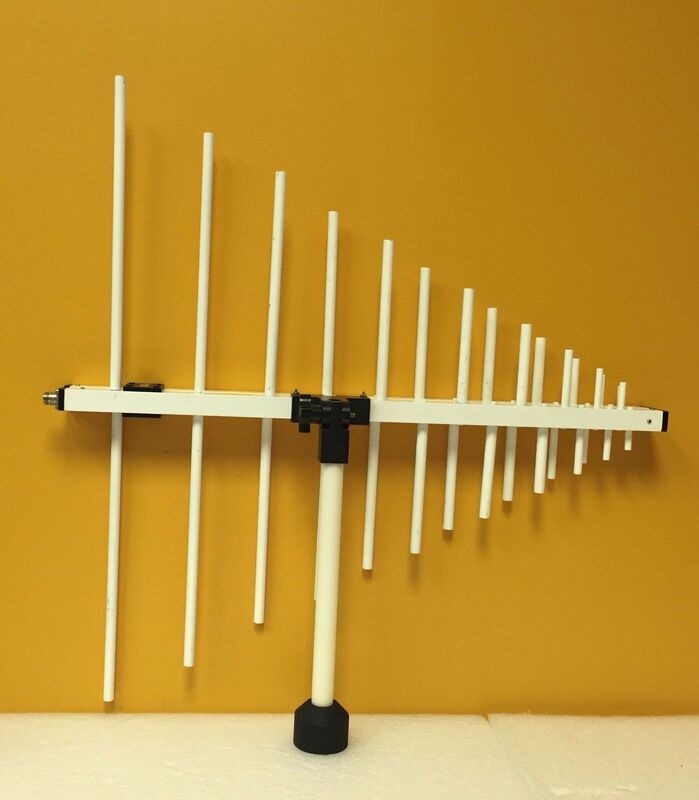 RH-118 Double-Ridged Guide Antenna. 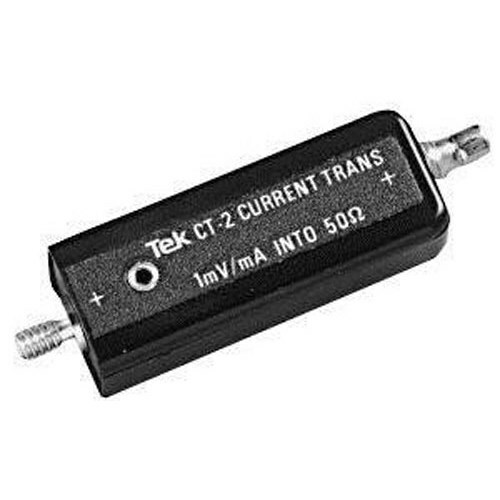 Impedenza di 50 Ohm. 500 watt potenza ingresso. In Alluminio. Frequenza 1-18Ghz. Guadagno 5 a 15 dBi. Connettore Tipo N fem. 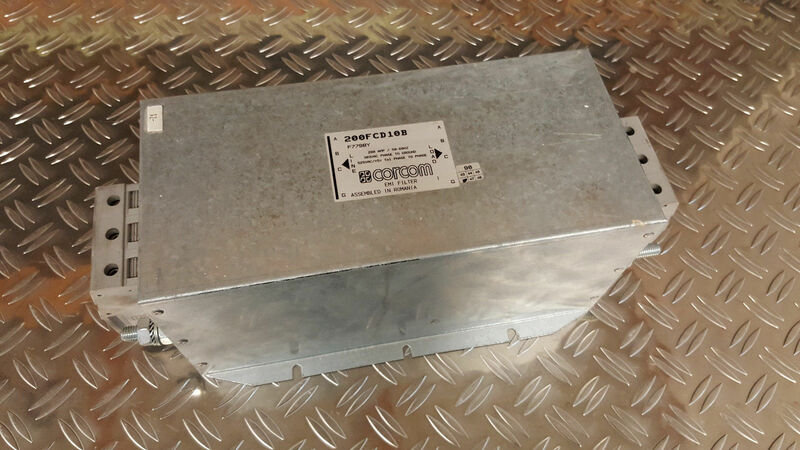 Corcom 200FCD10B Rete filtro EMI. Usato in perfette condizioni di funzionamento. 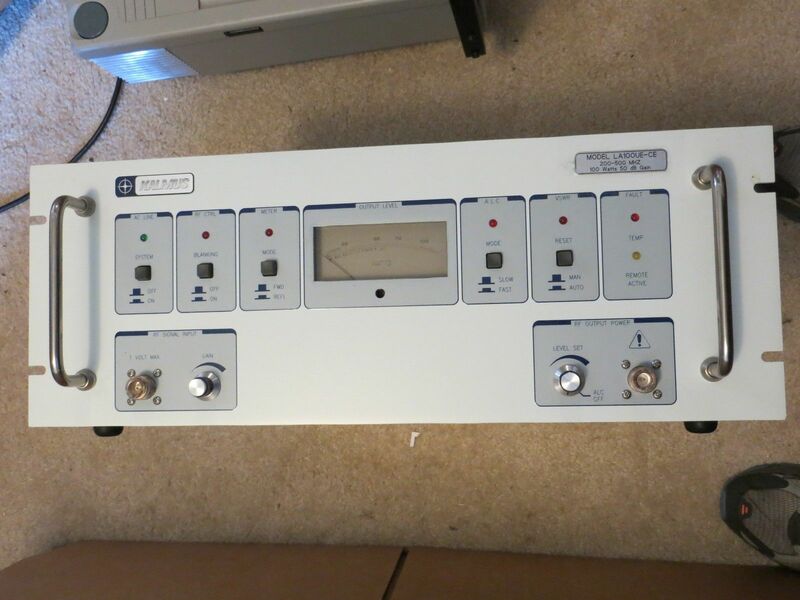 Comtech RD88258-50 Linear Amplifier 800 to 2500MHz 50 Watts GPIB CLEAN. 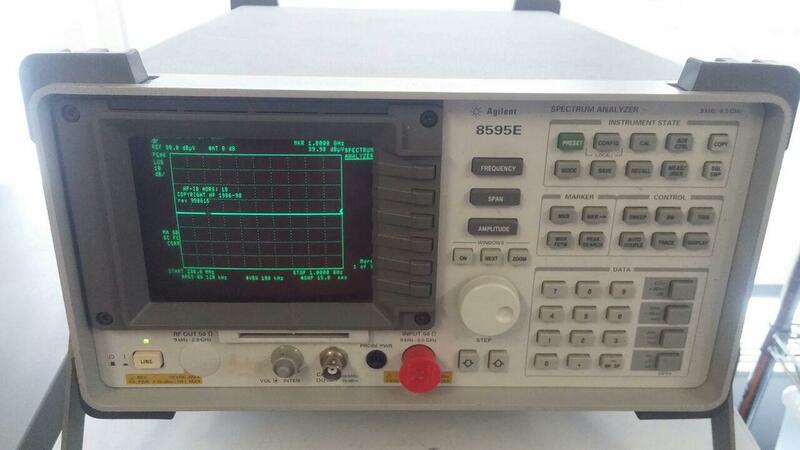 Comtech PST AR857198-20/4821A Solid State RF Amplifier 850-1990MHz 20 Watts - Used in good working conditions. 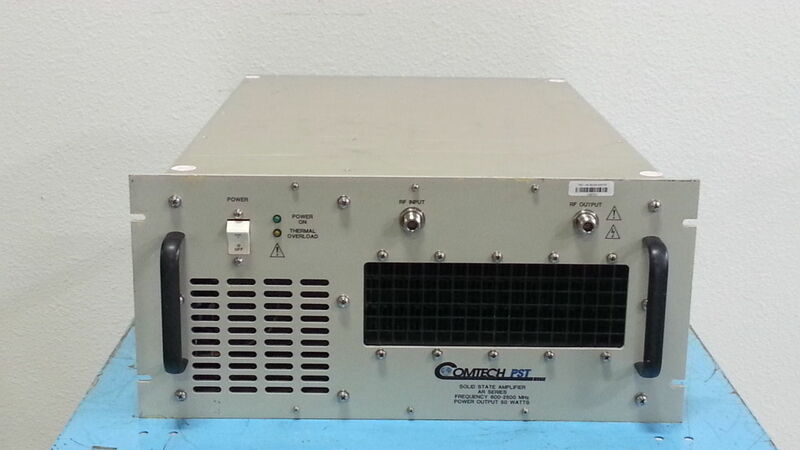 Comtech PST AR178238-50 1.7-2.3 GHz / 50 Watt Solid State Amplifier. Gain 47dB. Used Equipment in good condition. For Sale. 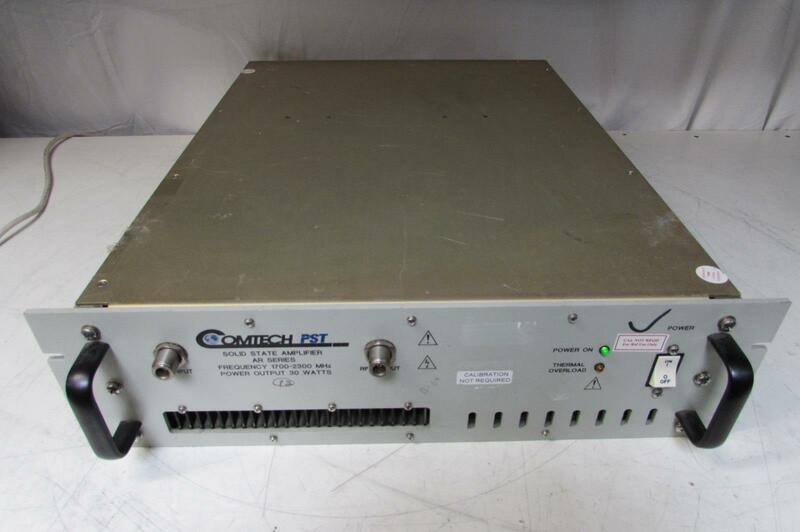 Comtech PST AR178238-30 RF Power Amplifier, 30 Watts, 1700-2300 MHz. Used equipment in perfect working condition. Buy it now. Free shipping in Italy. Il compressore professionale per aerografo è pensato per offrirvi il meglio in tutti i tipi di lavori, come lavori artistici, abbronzatura con aerografo o nail work . Il set include 1 compressore, 2 pistole e altri accessori. 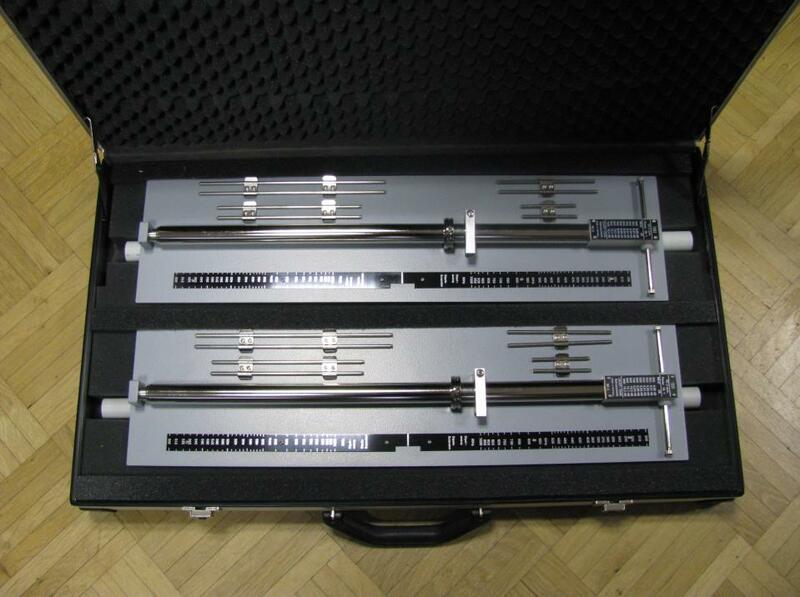 GTEM CELL 1000 TEM waveguide manufactured in Italy by EMCTEST. Ask a quotation and buy it now. Available for sale or rent to make emissions and immunity tests. La nostra custodia protettiva per attrezzature leggera e durevole, proteggerà i tuoi oggetti di valore da urti, schiacciamenti, polvere e umidità. 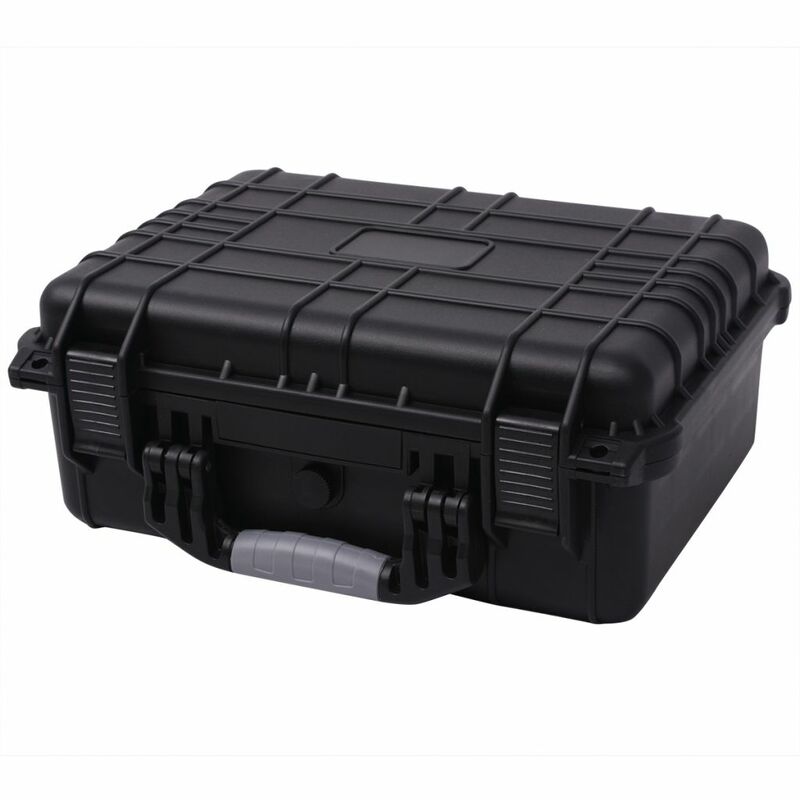 Tra la gamma di accessori per il tempo libero questa valigetta in plastica dura è l'ideale per trasportare laptop, fotocamere e strumentazione elettronica. Questa bilancia wireless a pavimento è ottima per aziende che spediscono pacchi, aziende agricole, e veterinari... Peso massimo 1000kg, con precisione 200g. 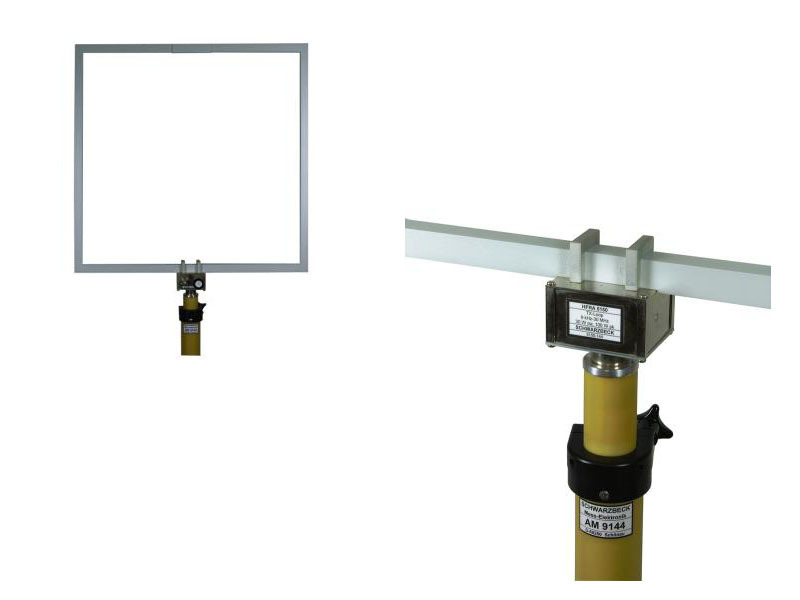 ARA SAS series e-field antennas are extremely broadband portable receiving antennas designed specifically for accurate measurement of electric field intensity. In sale, buy now! 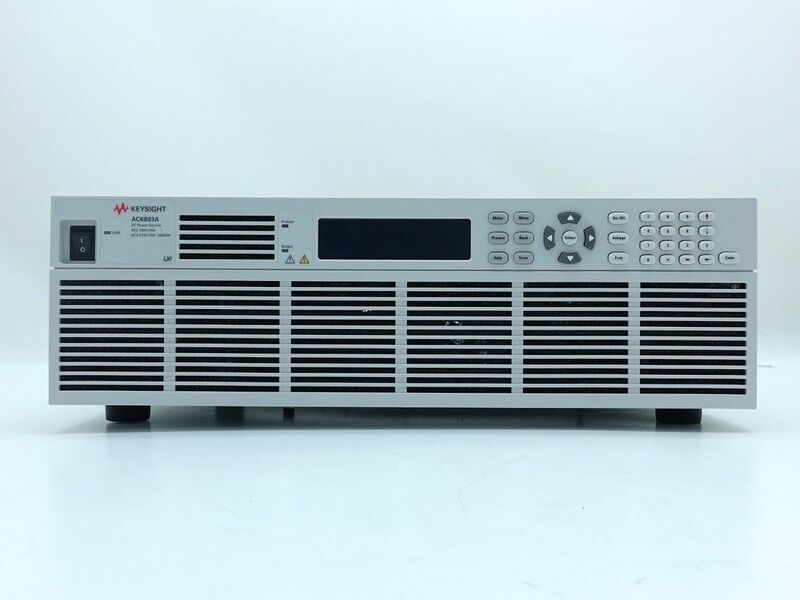 Used Amplifier Research 25A250A broadband unit for laboratory applications where instantaneous bandwidth, high gain, moderate power output. 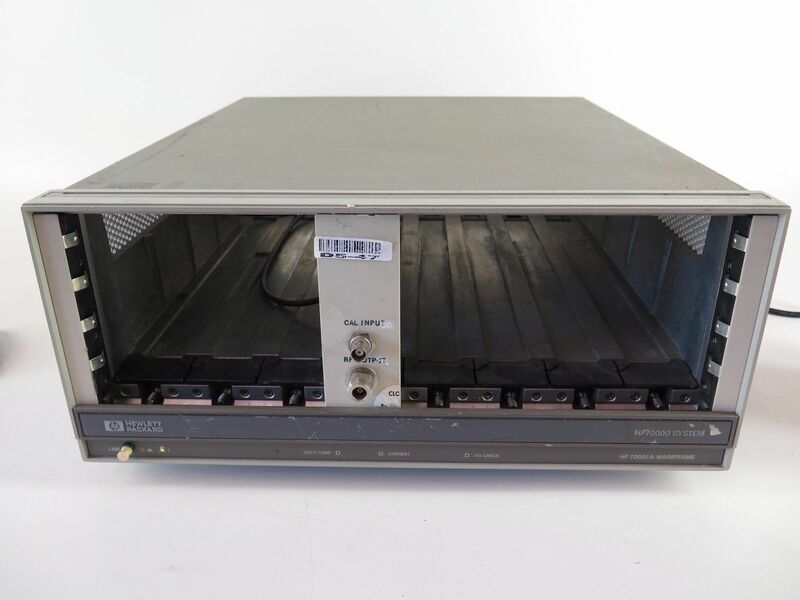 EATON AILTECH CUTLER 20512 - 512 MHz 10-40 WATT POWER AMPLIFIER. Used equipment. 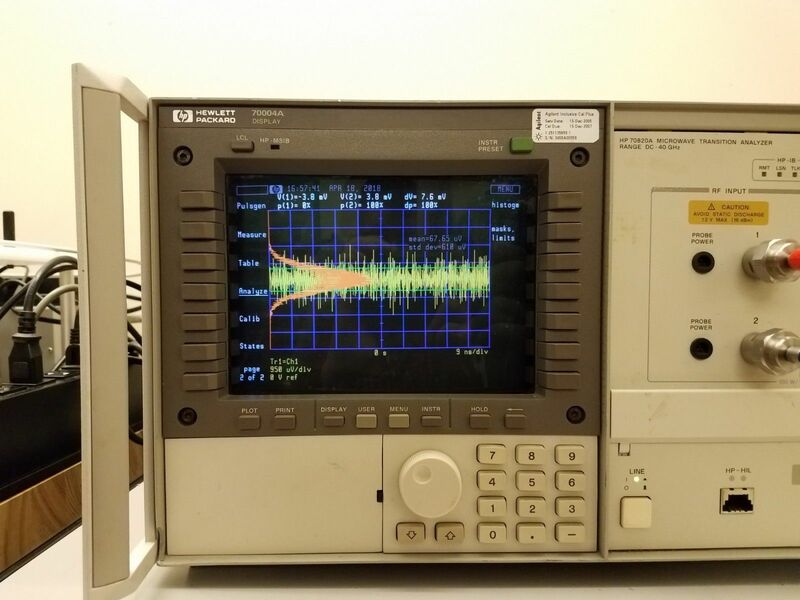 HP Agilent Keysight 6843A Harmonic / Flicker Test System, 4800VA permits capabilities of a ac source, power analyzer, flicker meter, and line impedance network. 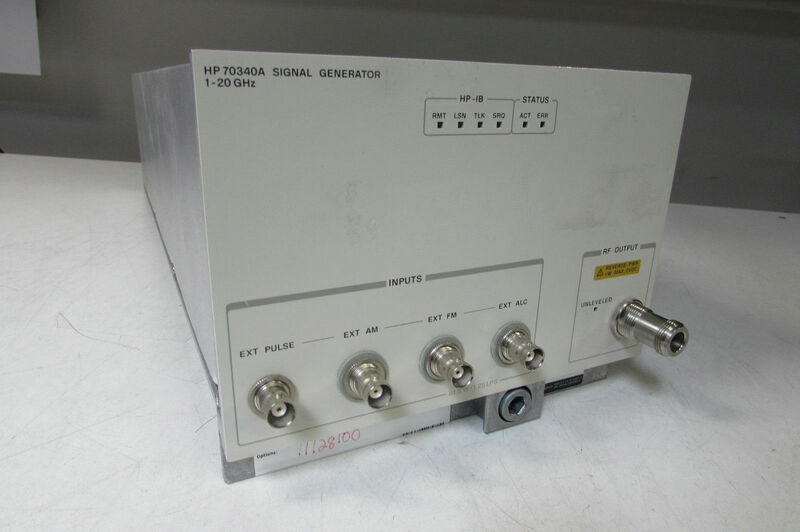 Agilent HP Keysight 8341 Sweep signal generator 10 Mhz - 20GHz. 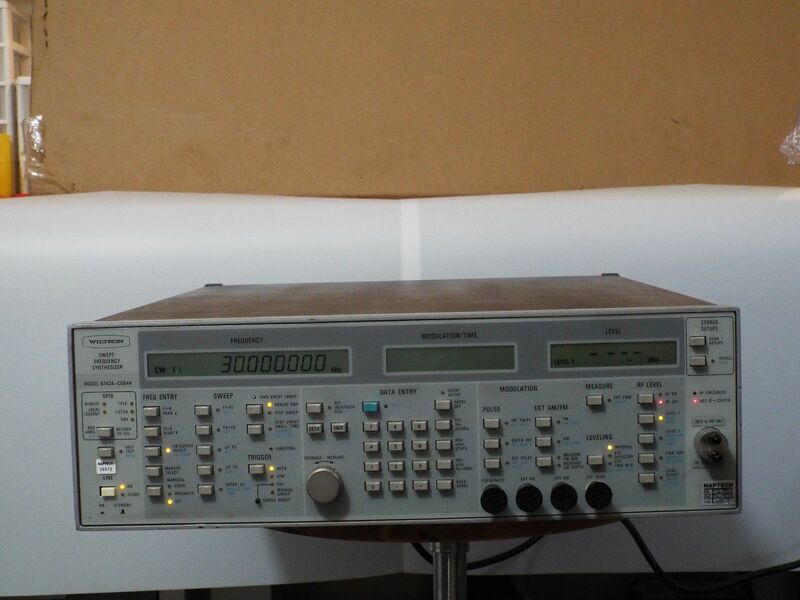 It combines the performance of a synthesizer and broadband sweep oscillator in one unit. USED. 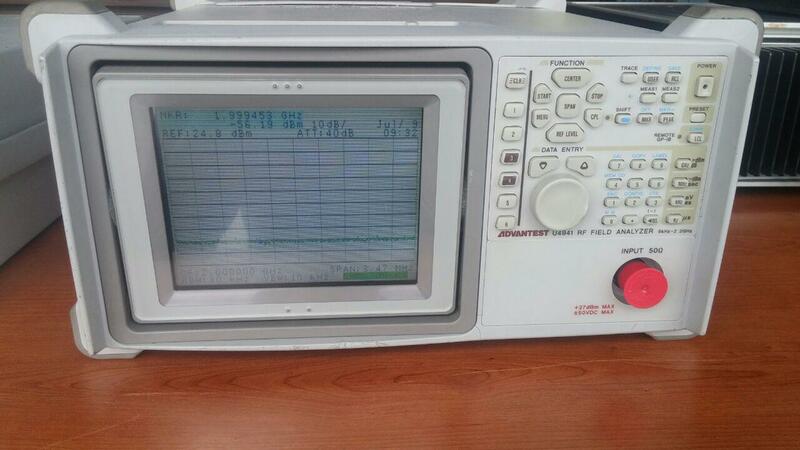 Equipment Agilent HP 70340A MMS Synthesized Signal Generator 1-20 GHz used in good working conditions. 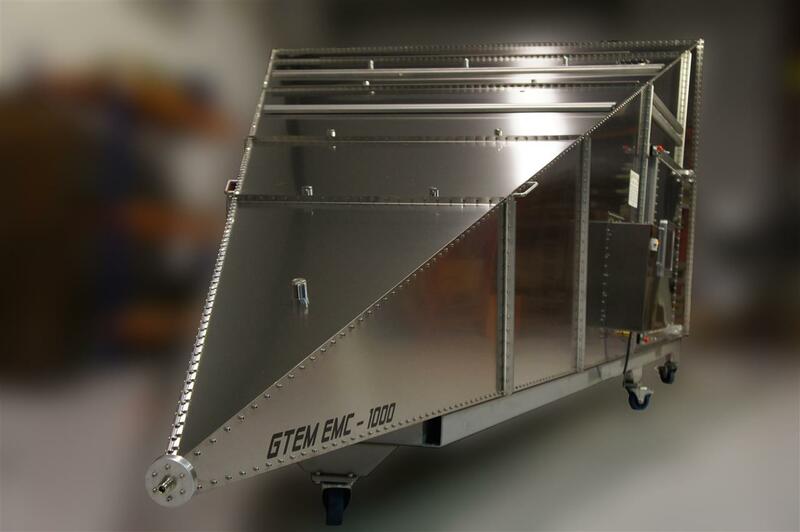 Suggested for emc test labs or universities. 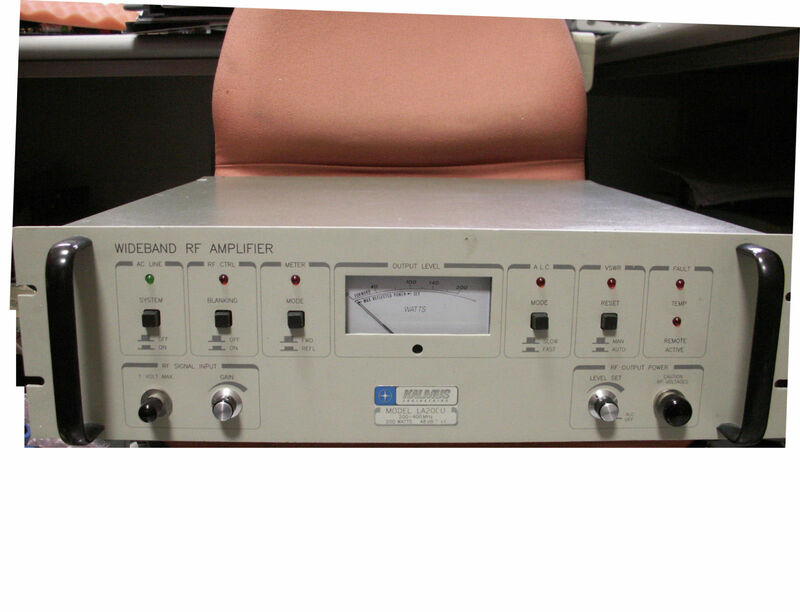 Agilent HP 8710-1744 Frequency: 100 Hz -50 MHz CURRENT PROBE RF microwave - N female connector. Used equipment in perfect working conditions. For sale. Buy it! Buy it now! 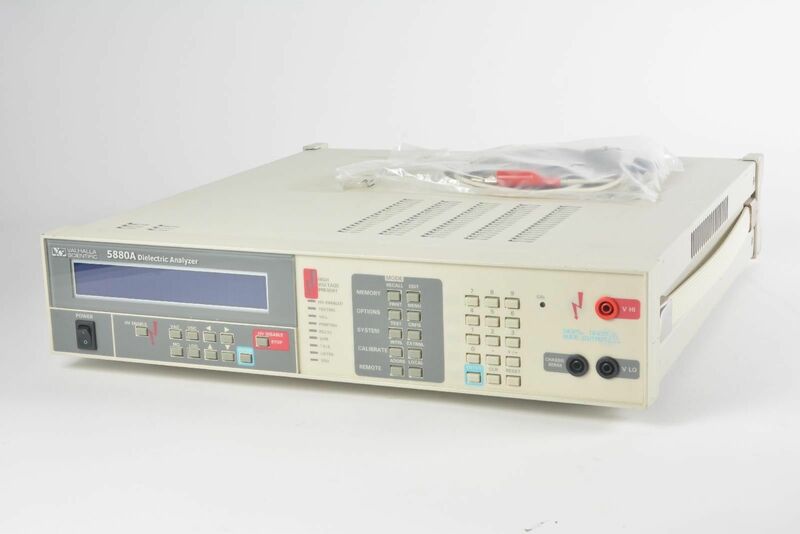 Agilent HP 6812B AC Power Source Analyzer with GPIB port. Used equipment in perfect working conditions. In sale. 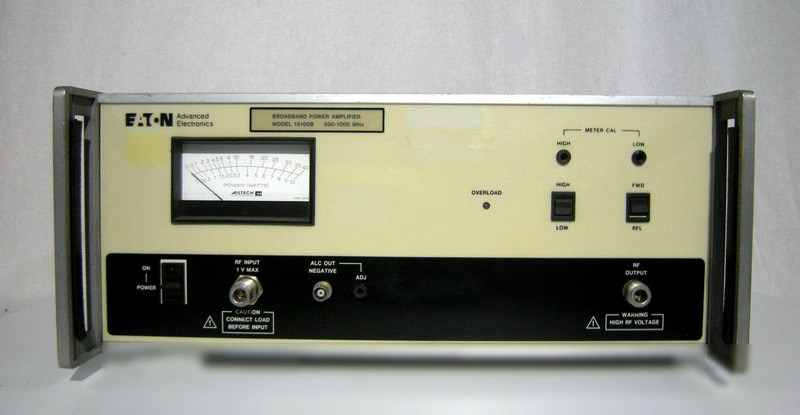 Schwarzbeck - LISN AMN JASO-D001-94 built according to JASO D 001-94, has a frequency range of 10-200 kHz and a max current of 50 A at max. 220 V 50 Hz AC. 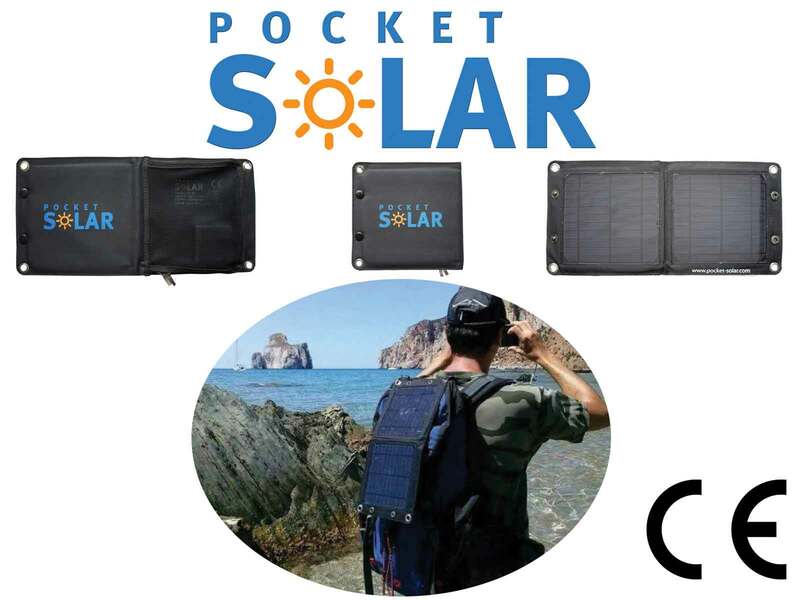 Ricarica solare ad alto rendimento: telefono, smartphone/tablet in viaggio al mare, in tenda, camping, trekking e natura. Energia pulita sempre. Certificato CE. 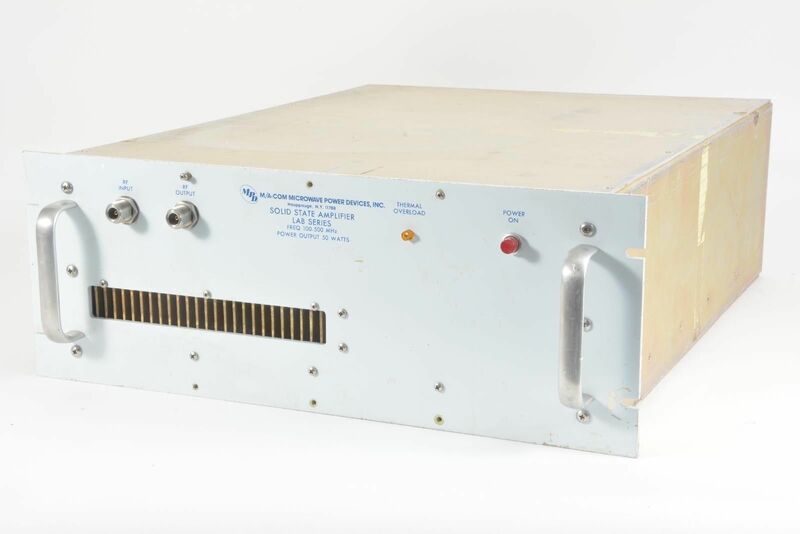 HP 70820A microwave transition analyzer module and HP 70004A mainframe. DC to 40 GHz with two channels. 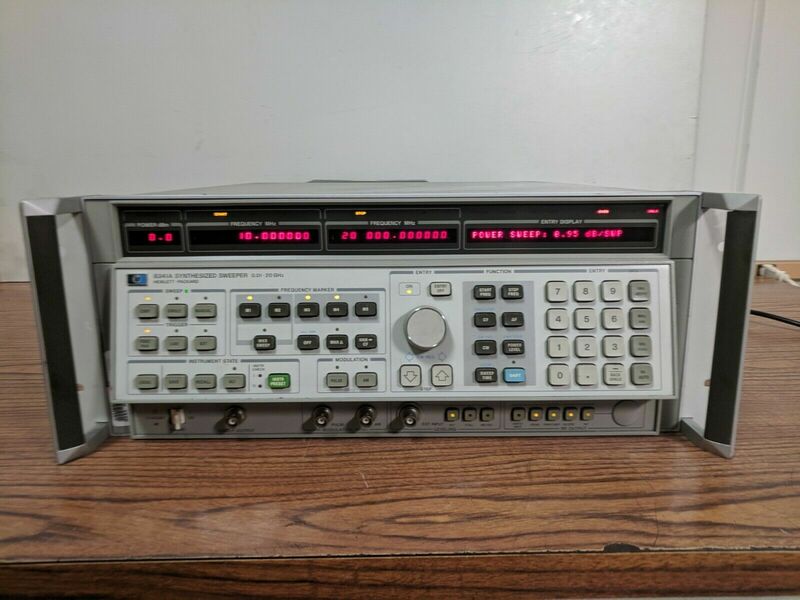 Oscilloscope, vector network analyzer, peak power meter. 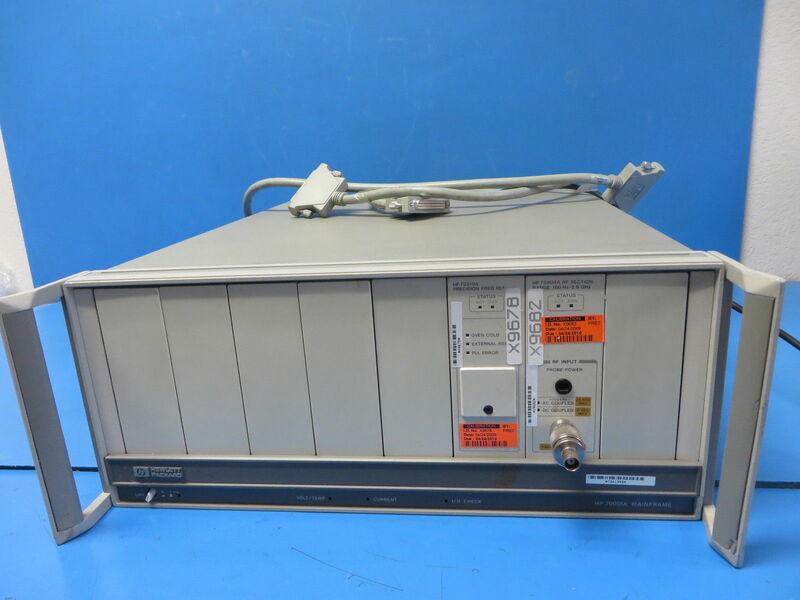 WILTRON 6742A - C0044 - 40 GHz SWEPT FREQUENCY SYNTHESIZER USED EMC TEST. Used in good working condition. 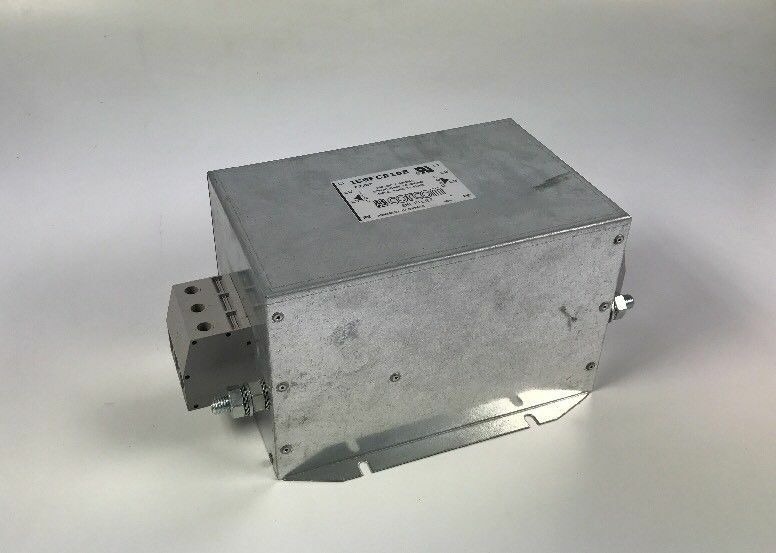 Wiltron 562 Scalar Network Anaylyzer 76dB - used to measure insertion loss, insertion gain, or RF power with 76dB dynamic range over the 10MHz to 40GHz. 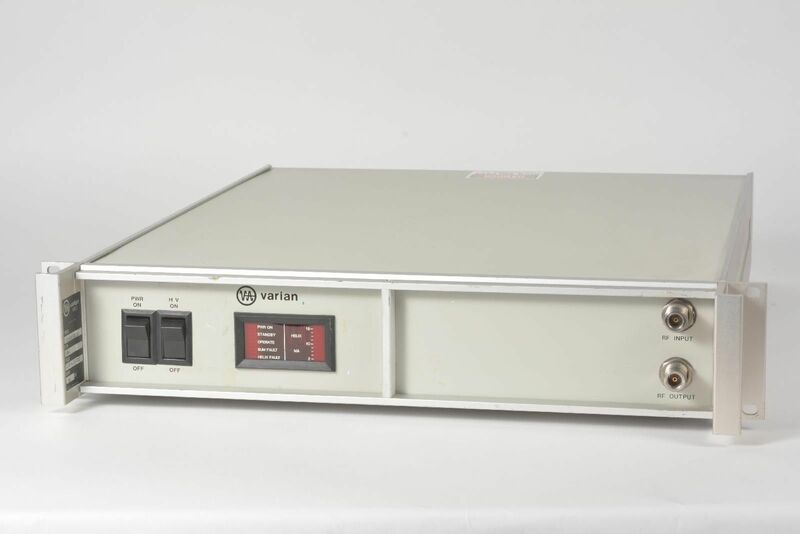 VSTAR CPI Varian TWT Microwave Power Amplifier 2.0-4.0 GHz VZS6950K1D. Used equipment for sale. Buy it now. 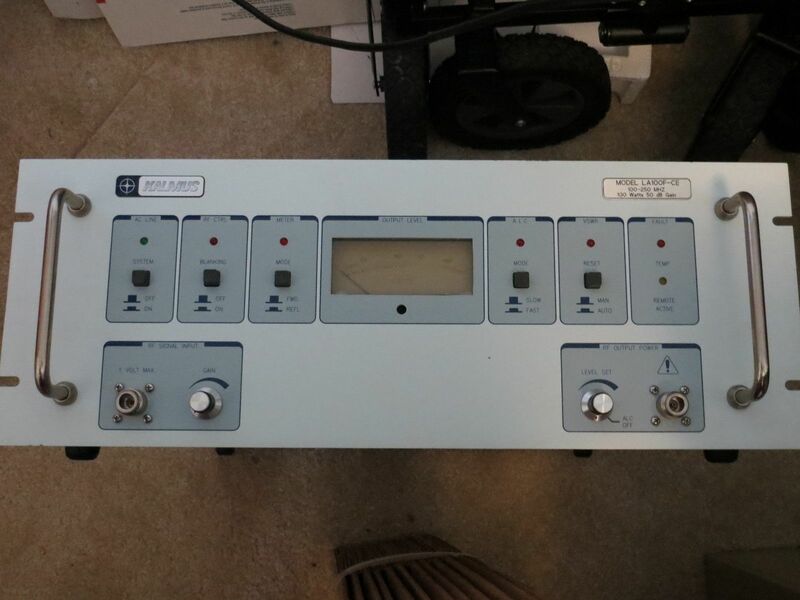 Valhalla Scientific 5880A Dielectric AC/DC Power Analyzer 50Hz - 100Hz. 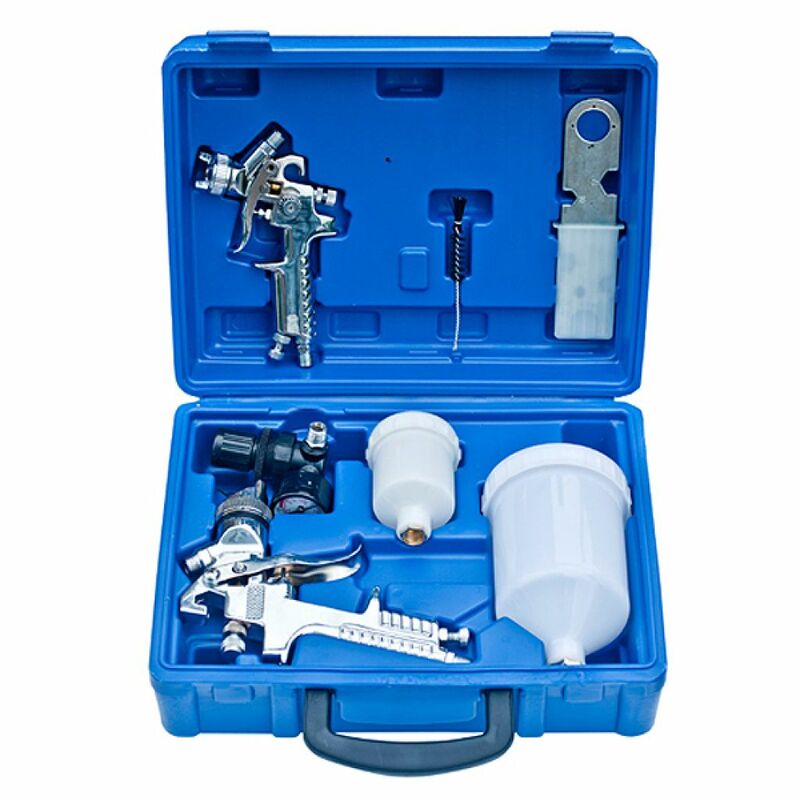 It combines the four basic dielectric tests into one compact equipment. Buy it now. 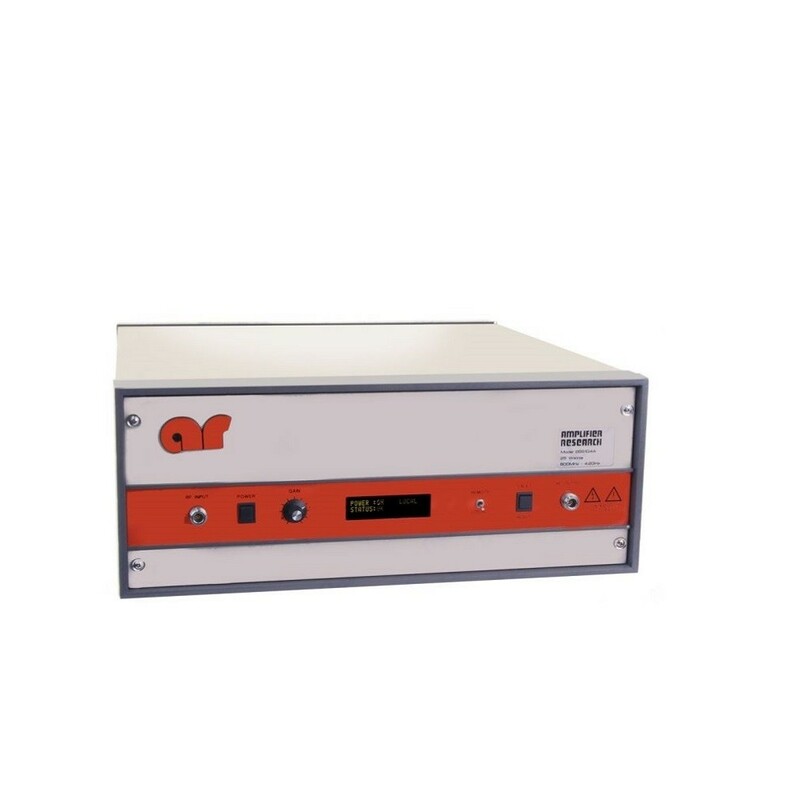 UNI-T UT283A Single Phase Power Quality Analyzer Energy. Used equipment in perfect working conditions. For sale, contact us for further information. Questo trolley portautensili/attrezzi di alta qualità è dotato di ruote e una manico telescopico regolabile e presenta anche un’imbottitura all’interno. 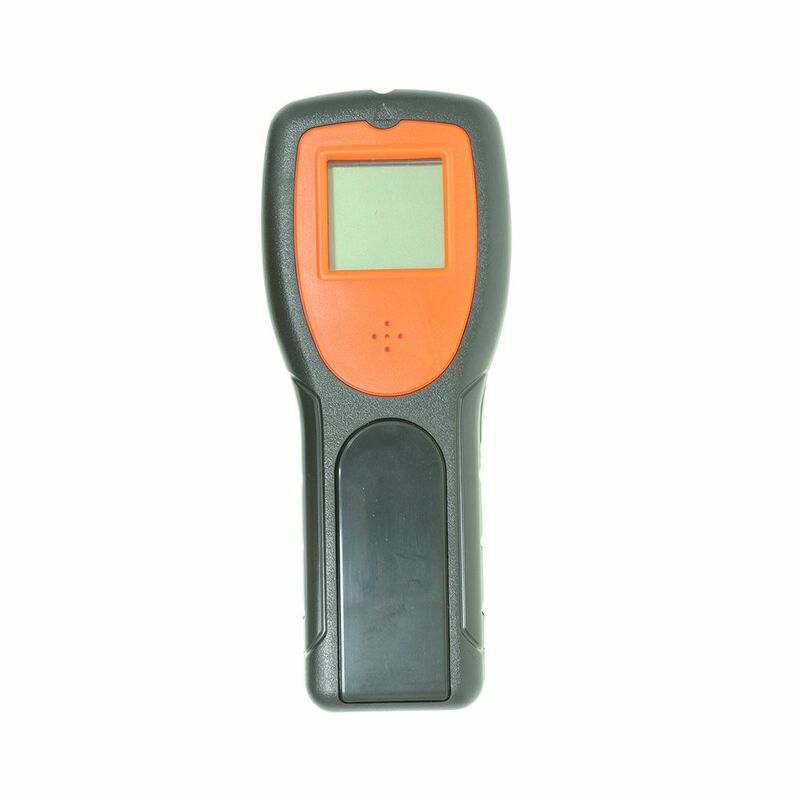 RF Tri- Axis Meter is non directional (isotropic) measuring device with 3- channel measurement sensor(X,Y and Z) that is designed for a reliable measurement. 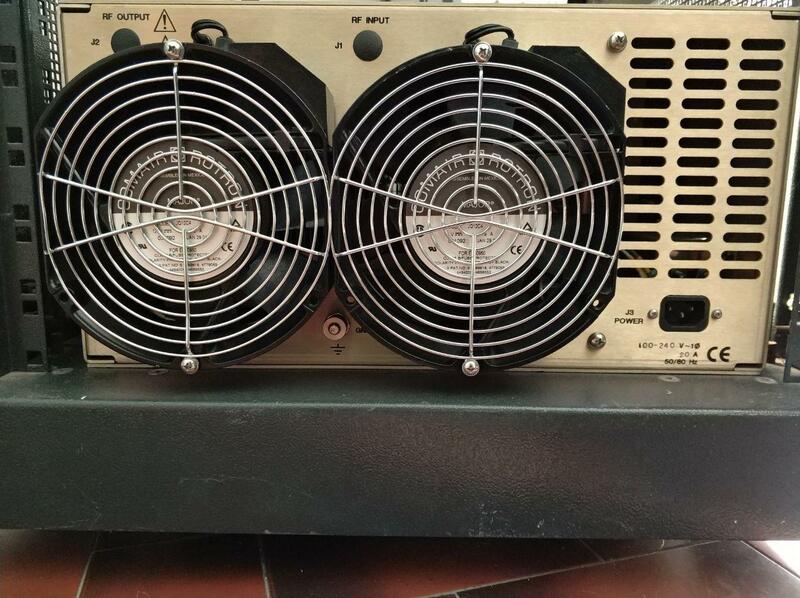 Spanawave Power RF Amplifier 30W 800-2500 MHz PAS-08025-30. 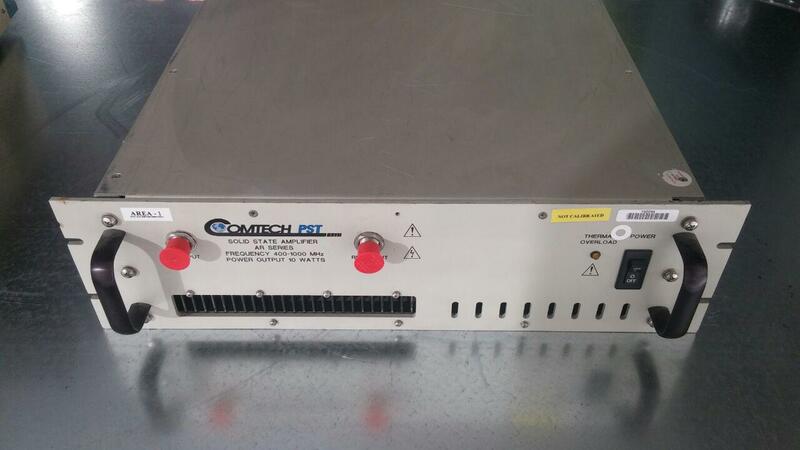 This solid state power amplifier 30 W with 50 db gain, contact us for more information. For sale. 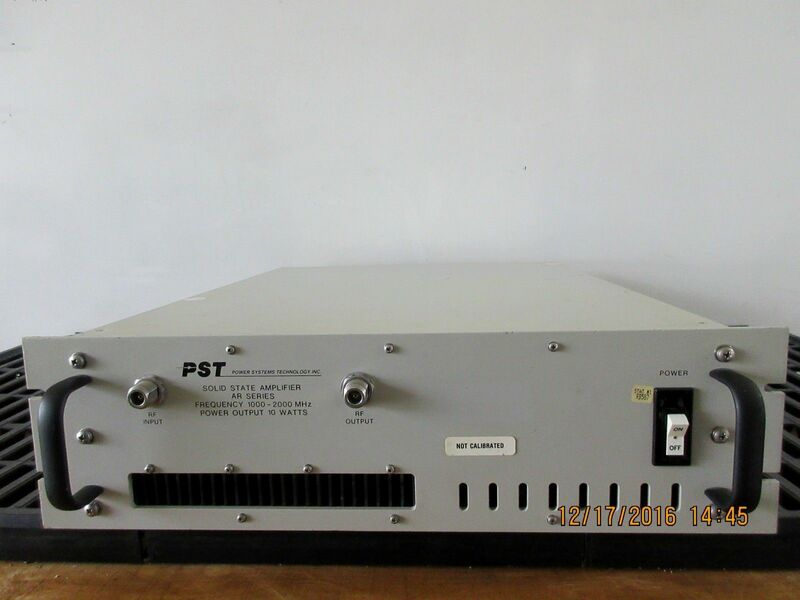 PST Comtech ARD8829-100 is an RF Amplifier Solid State Amplifie. 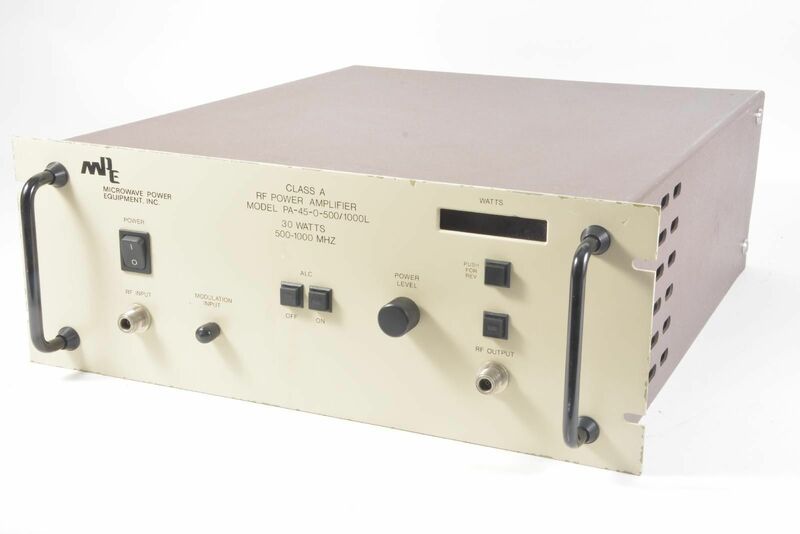 Freq.800-2000 MHz (800MHz-2GHz) - power output: 100 Watts with GPIB connectivity. CE Compliant. 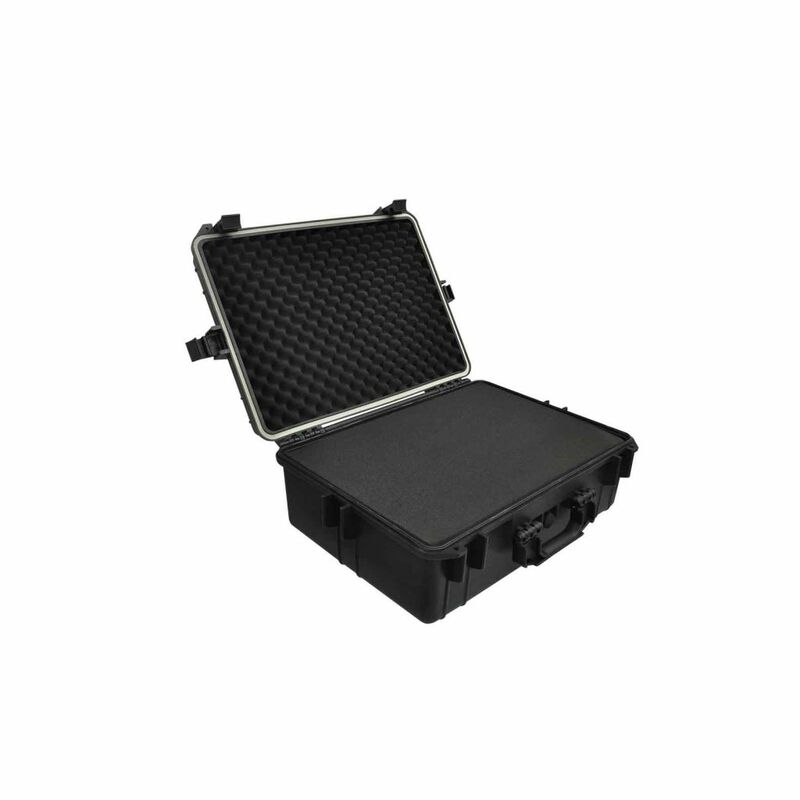 Designed for GSM, UMTS, TDMA, CDMA, AMPS, PCS, WIFI, BLUETOOTH and other communication devices. 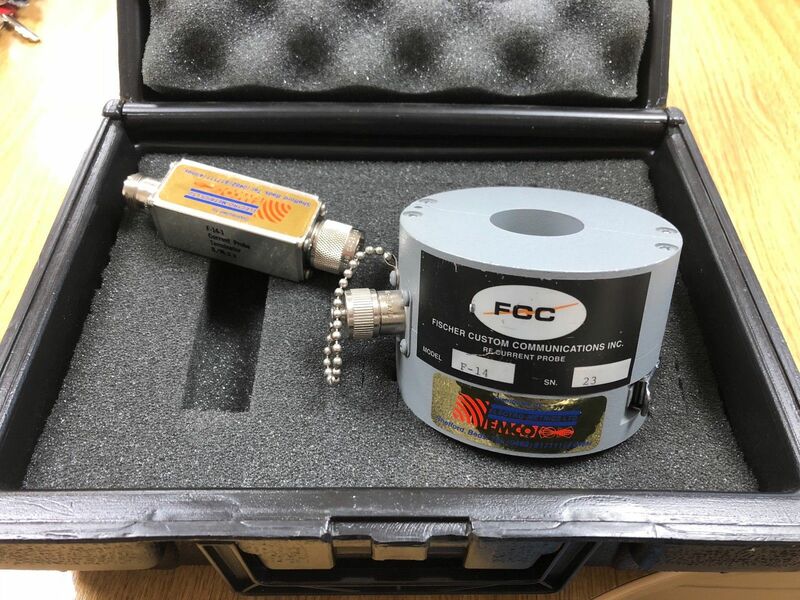 RF attenuation of -90dB @ 3GHz. Perfect for 2.4 GHz testing. Il compressore professionale per aerografo è pensato per offrirvi il meglio in tutti i tipi di lavori, come lavori artistici, abbronzatura con aerografo o nail work . Il set include 1 compressore, 3 pistole e altri accessori. 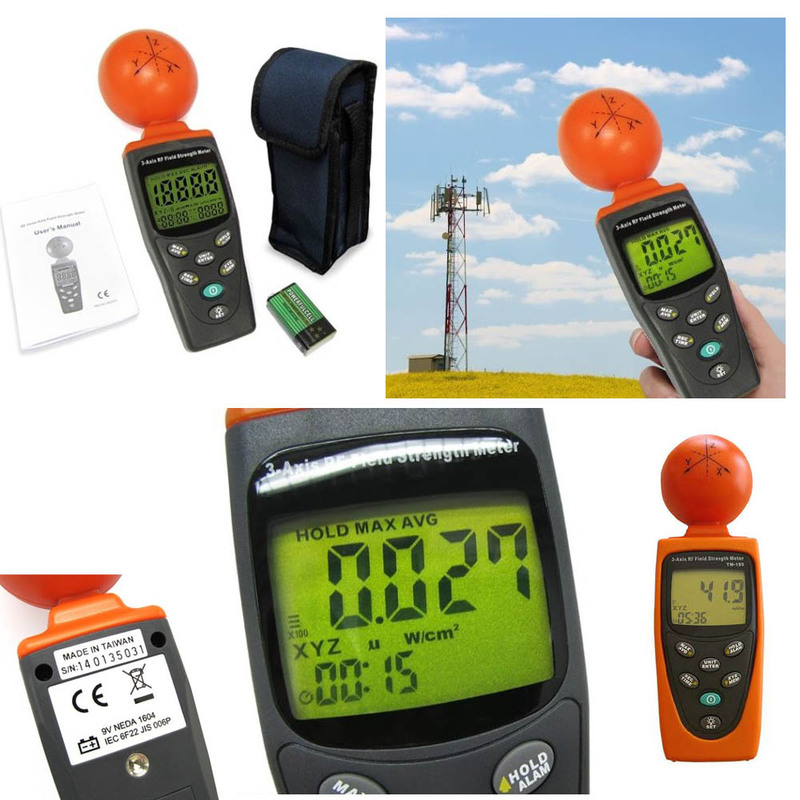 Critical cases of field-strength measurement sites and the testing of antenna-calibration. 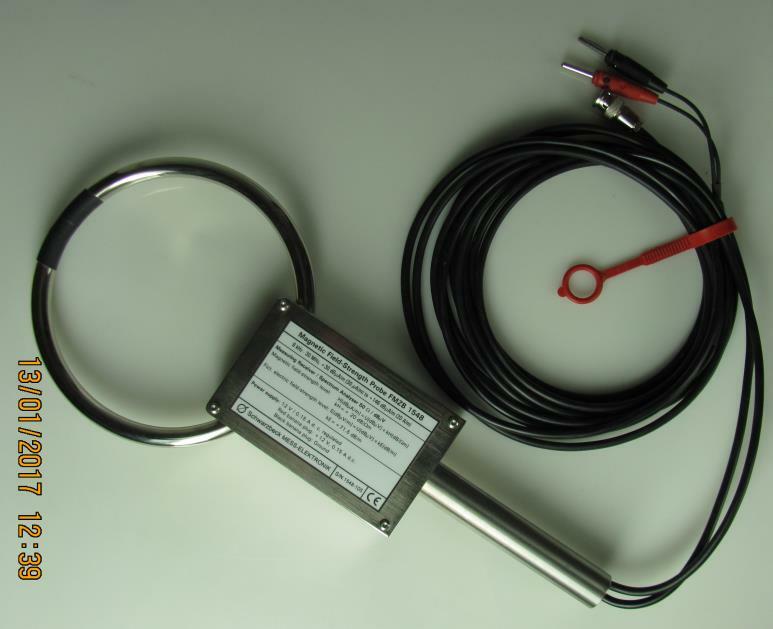 Halfwave dipole Rohde&Schwarz HZ-13 - important in the VHF/UHF range. Antenna Schwarzbeck HFRA-9150 / HFRA-5150 H-Field Transmit Loop VLF/HF 100W - ext. termination 20 Watt 50 ohm included. The old model of the new one HFRA 5149. 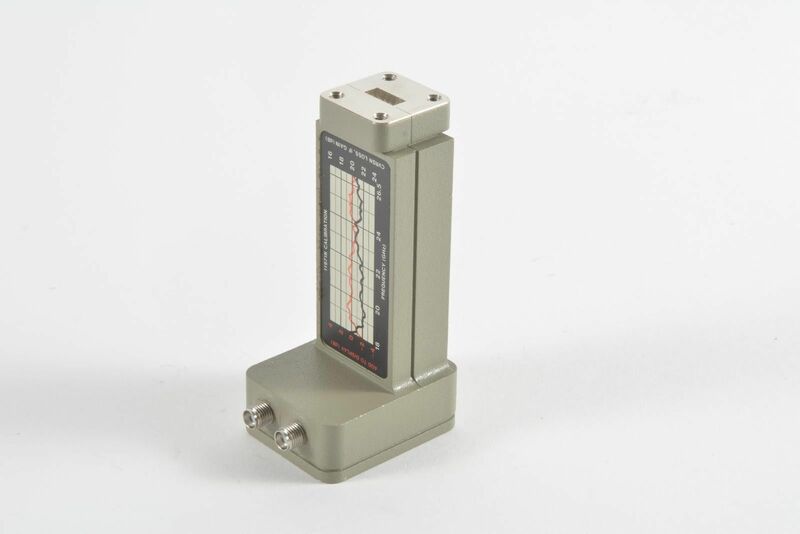 FMZB-1548 Schwarzbeck Magnetic field meter 9 kHz-30MHz 20A/m - Magnetic field meter 9 kHz – 30 MHz, 20A/m, with separate power supply cable. 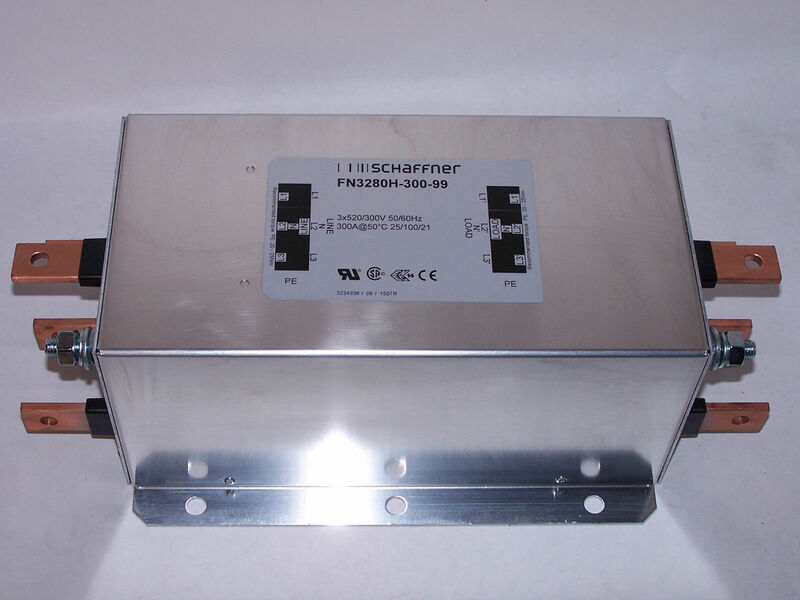 SCHAFFNER FN3280H 300 99 Power Line Filter 520 VAC 300A 3 Phase Solar Energy BRAND NEW. FILTERS BRAND NEW WITH BOX. La scatola in acciaio per attrezzi è una scatola professionale per tenere in ordine gli attrezzi nelle ufficine meccaniche. Questo scanner digitale da Skandia / rilevatore di cavi in tensione è l'ideale per rilevare metalli, parti di metallo, cavi nascosto nelle pareti (elettrici o no) e tubi di metallo (d'acqua) nel cemento. 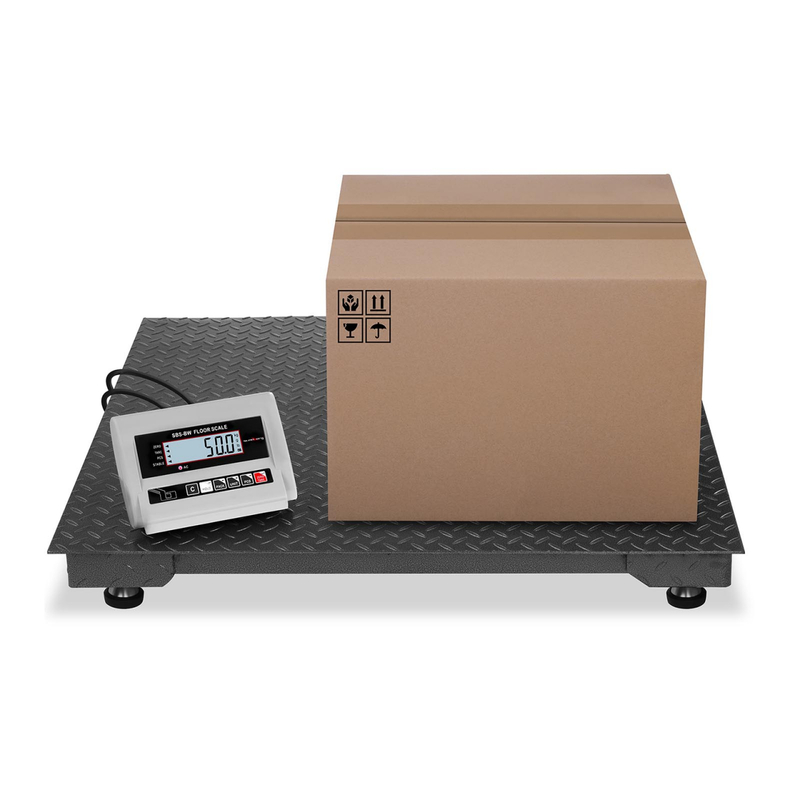 TIA-900-10 Minicircuits built-in power supply, 110V operation high power output at 3.5dB compression, 45dBm typ. high gain, 34 dB. high reverse isolation, 80dB. 33 N-SMA-50-1/113 UE RF Adapter N male/SMA female 50 Ohm - Huber Suhner. 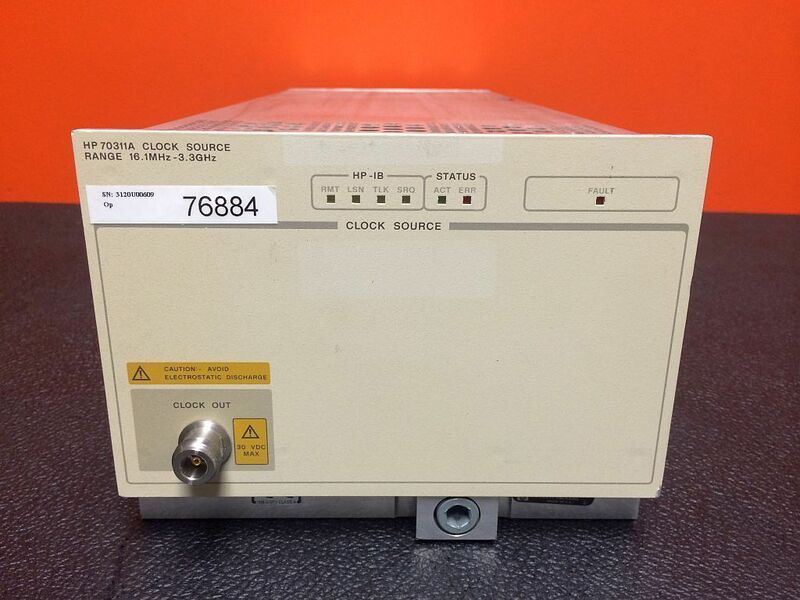 Frequency: 18GHz - For sale. Contact us for any further information. 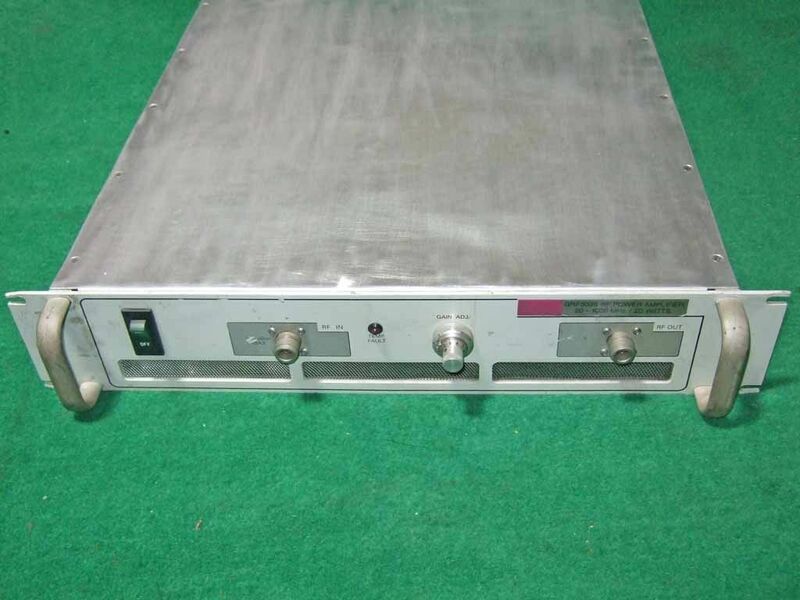 MPE Microwave Class A RF Power Amplifier PA-45-0-500/1000L 30 Watts 500-1000 MHz. Good cosmetic condition with some scratches as a normal use. Pistola a spruzzo professionale per verniciature veloci e rifinite di legno e metallo. Ideale per la verniciatura a spray della carrozzeria dell'auto. 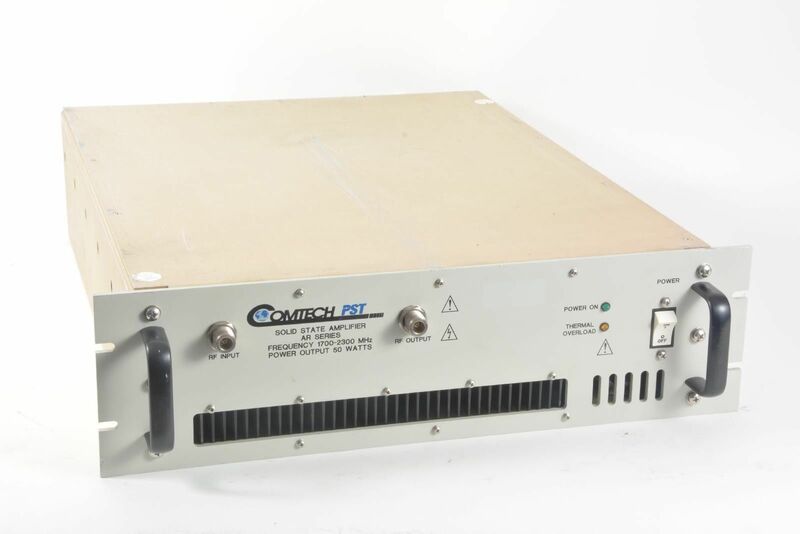 OPHIR GRF5039 RF POWER AMPLIFIER 20-1000MHZ 20WATTS. Used Equipment for sale. 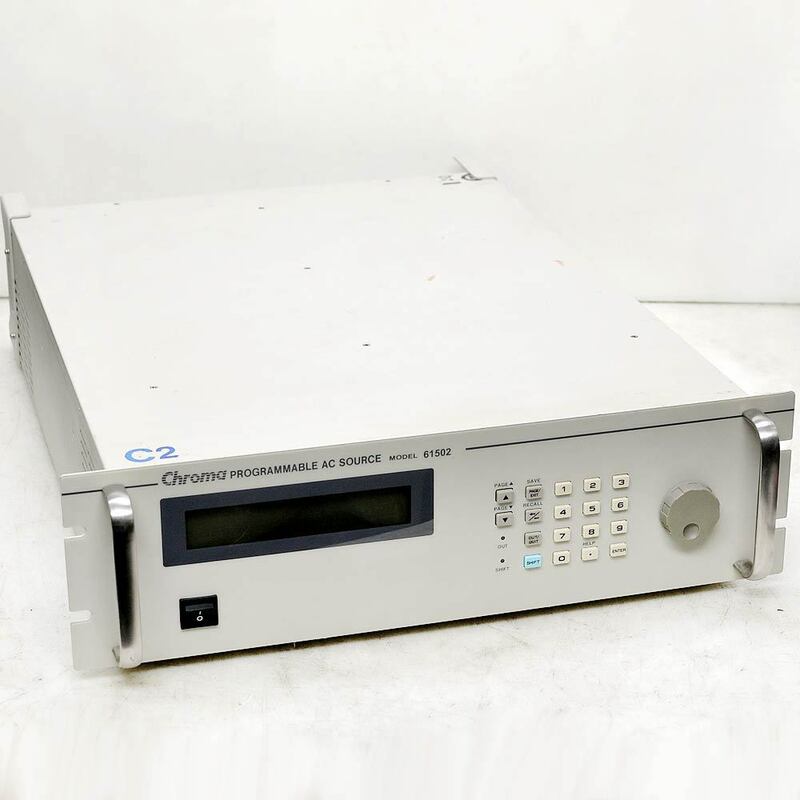 The Ophir 5061 Amplifier is a 50 Watt power broadband amplifier that covers the 0.8 – 4.2 GHz frequency range. For sale, contact us for more information. 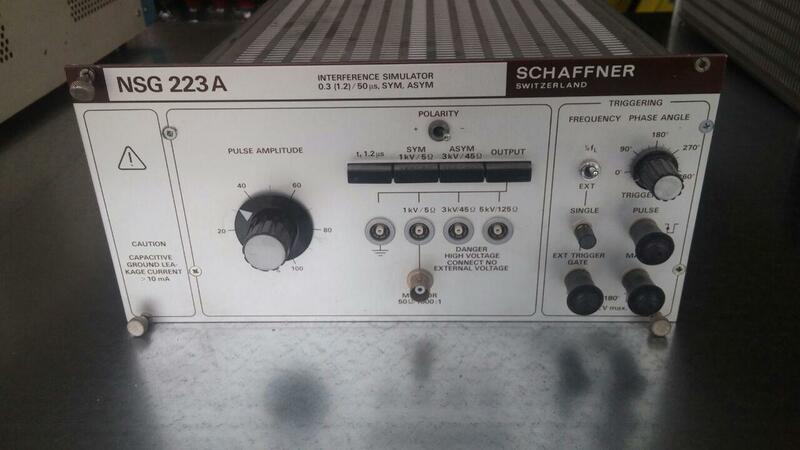 Schaffner NSG223A Line Voltage Variation Simulator Equipment for EMC testing. Tested and sold as is: it does not work. 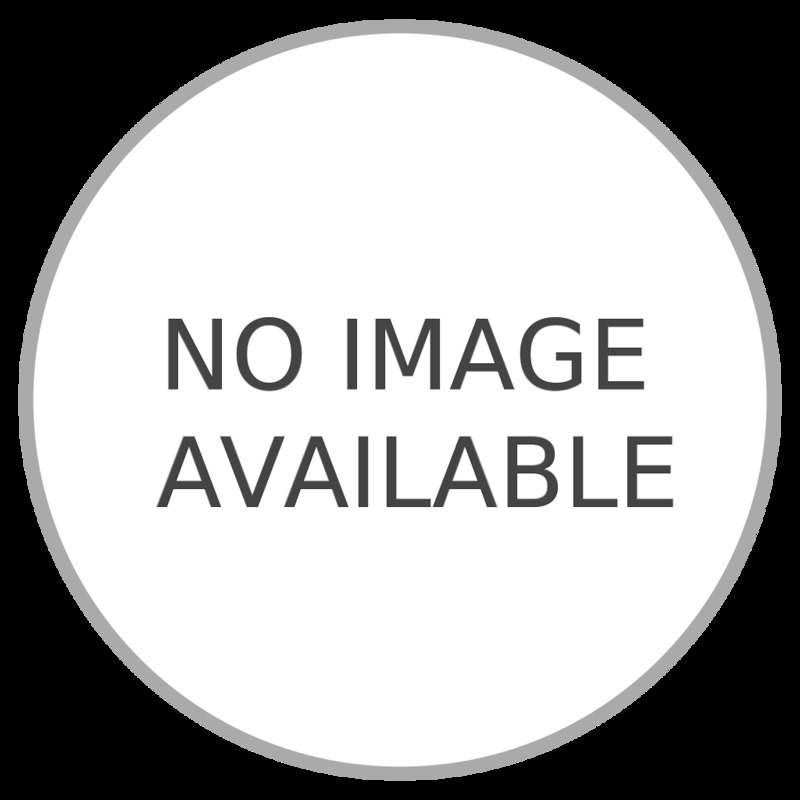 User manual in PDF format on demand. 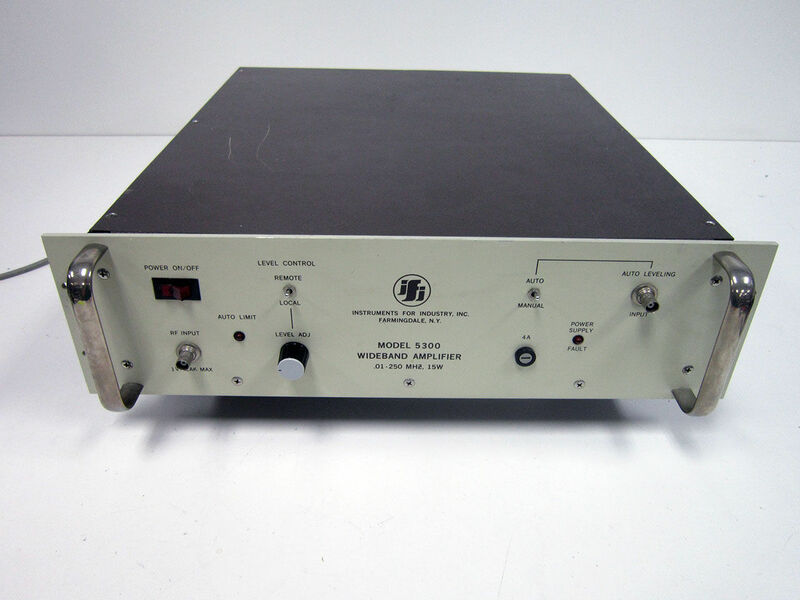 NEW Spanawave Power RF Solid State Amplifier 20-1000 MHz PAS-00210-60. 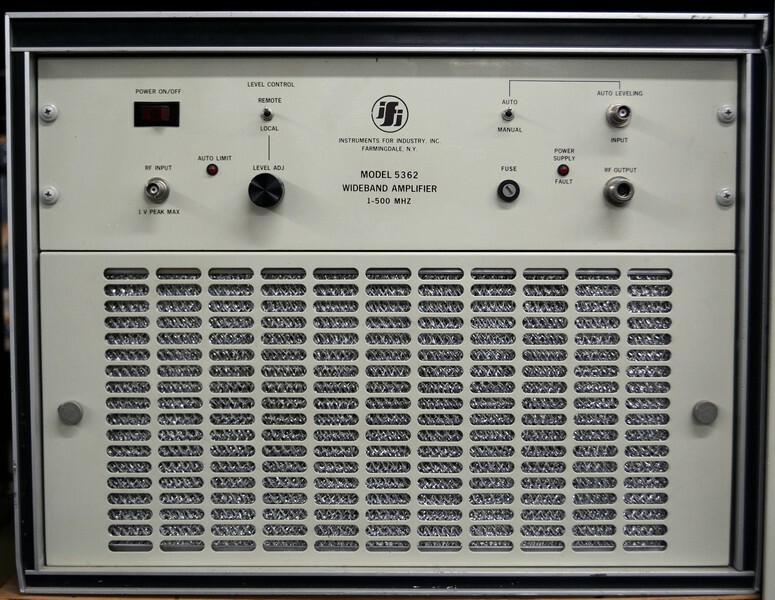 Frequency: 800-2500MHz. Gain: 52.0dB. 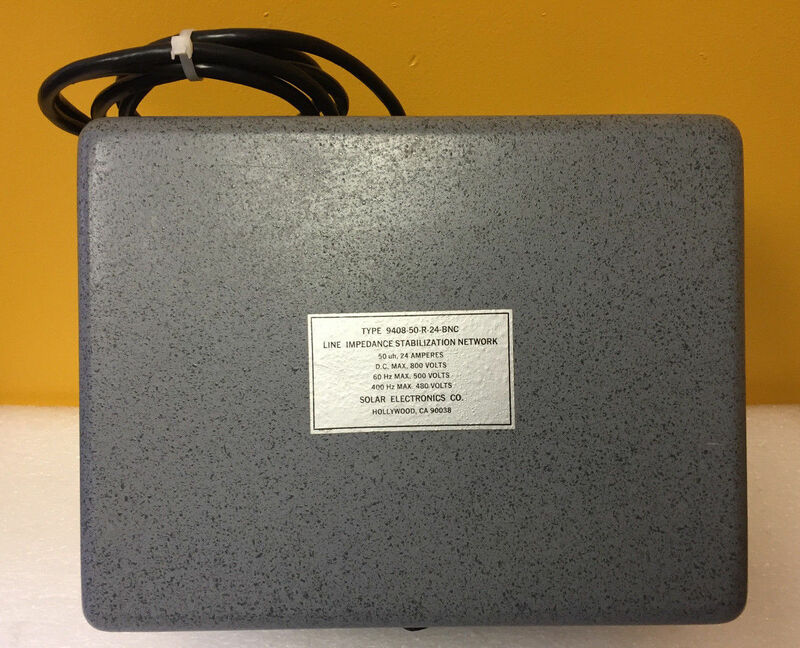 RS-232 and ethernet interface included. 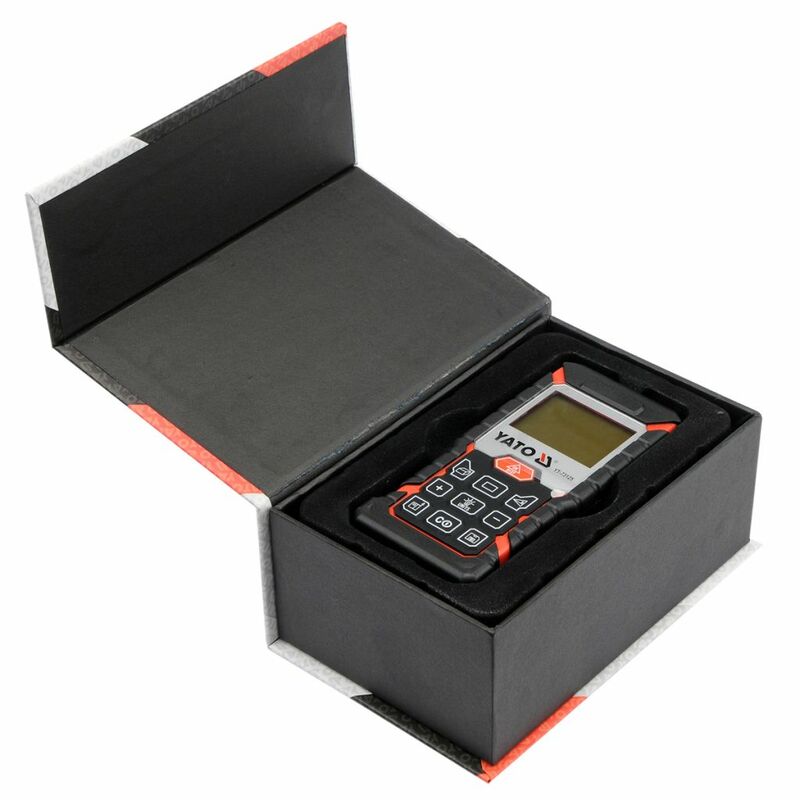 NARDA NBM-520 BROADBAND FIELD METER WITH PROBE EF-5092 E-FIELD. 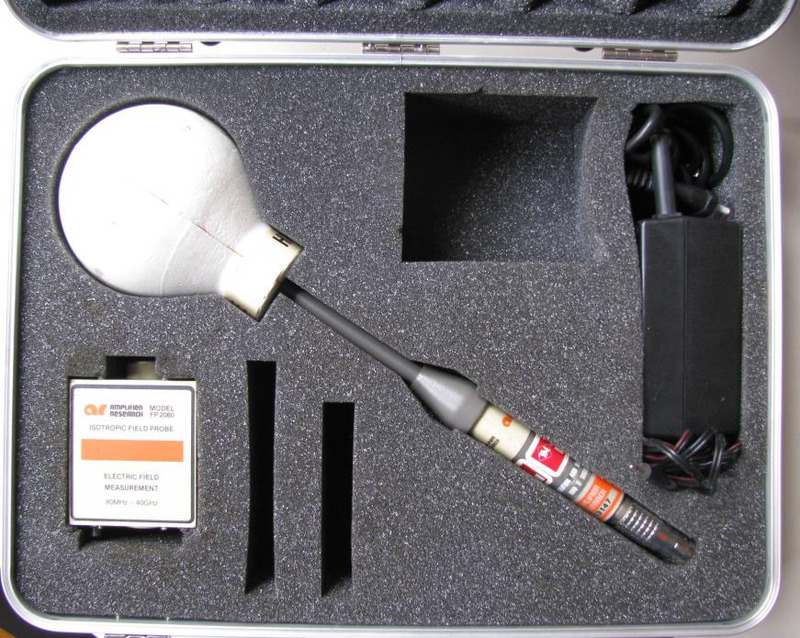 High power of high frequency field probe for pulsed signals, radio, satellite communications. 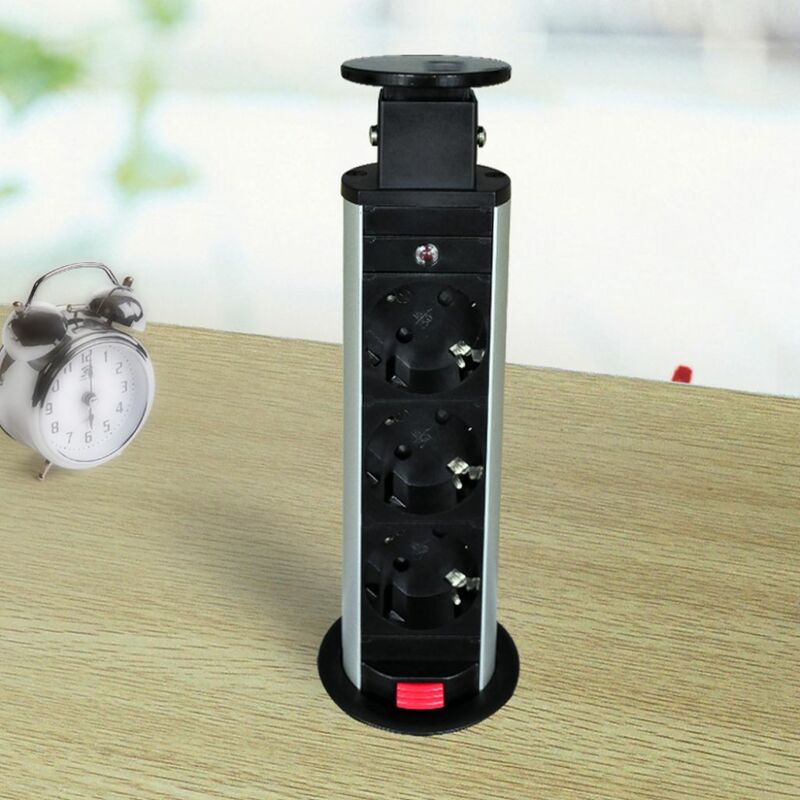 This automatic instrument can check all electrical devices and cable for 115-500 VAC for following: protective conductor insulstion conductivity short circuit. Questo misuratore di umidità digitale misura in modo preciso il grado di umidità del legno e dei materiali di costruzione. Ottimo per legna da ardere. 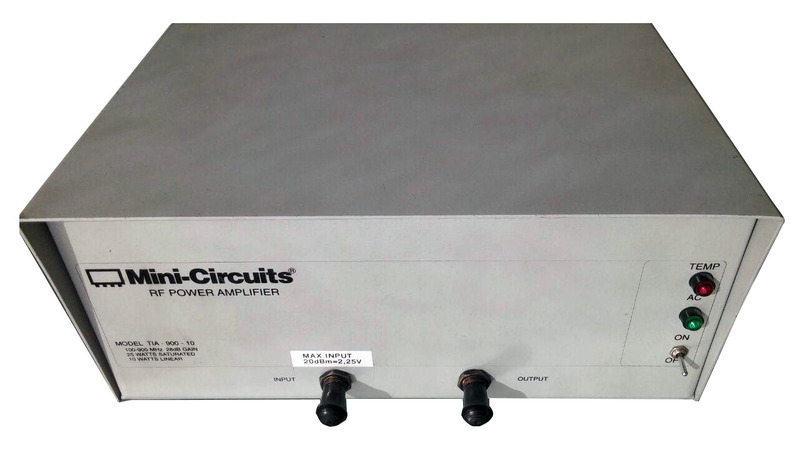 MICROWAVE POWER DEVICES INC. Model: LAB 1-105-50H - Solid State Amplifier Lab Series 100-500 MHz / 50 Watts. Used but in good cosmetic and working conditions. Solar Electronics LISN 9048-50-R-24-BNC use a series inductor between test sample and the power source to provide the impedance-versus-frequency characteristic. 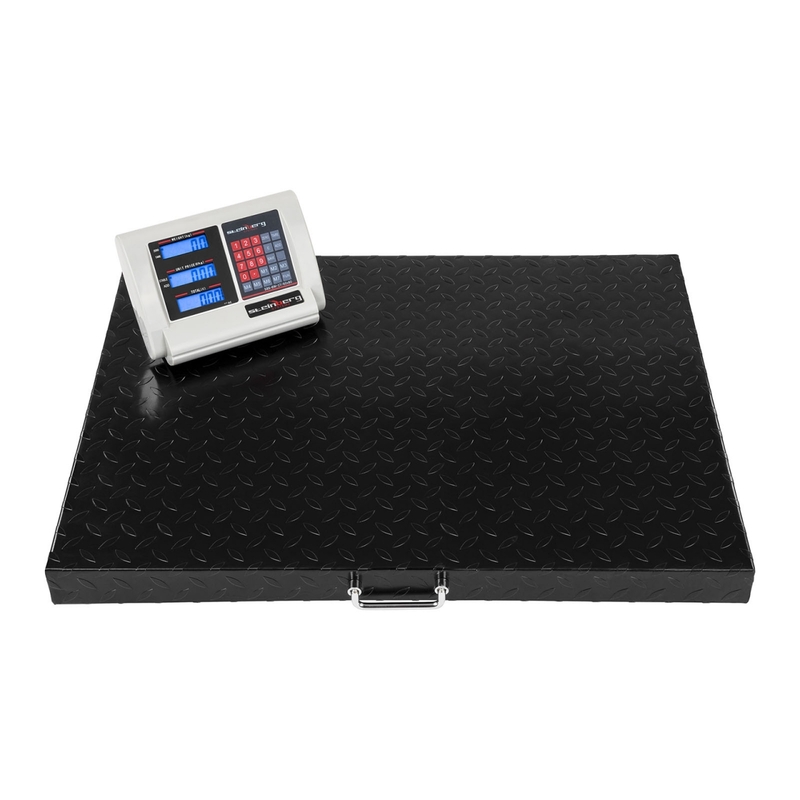 Thermo Keytek CEMASTER EMC / EMI Immunity Test Simulator provides compliance-level testing to IEC 1000-4-X Series Immunity Standards: EFT, SURGE, DIP etc. CAT Surge Source & Mains Coupler/Decoupler, Combination Wave Surge Simulator - Open Circuit Voltage. In vendita/For sale. Usato/Used, venduto come funzionante. 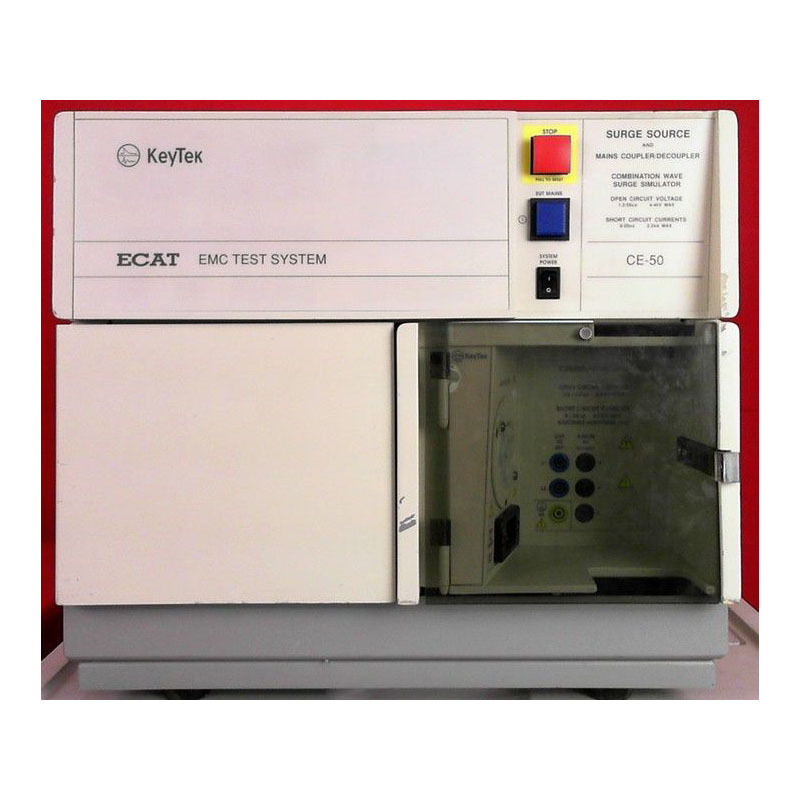 Keytek CE-40 EFT SOURCE & MAINS COUPLER/DECOUPLER 4.4kV, 1kHz-1MHz 5nS-50nS Pulses ECAT True. Good cosmetic condition with minor scratched of normal use. 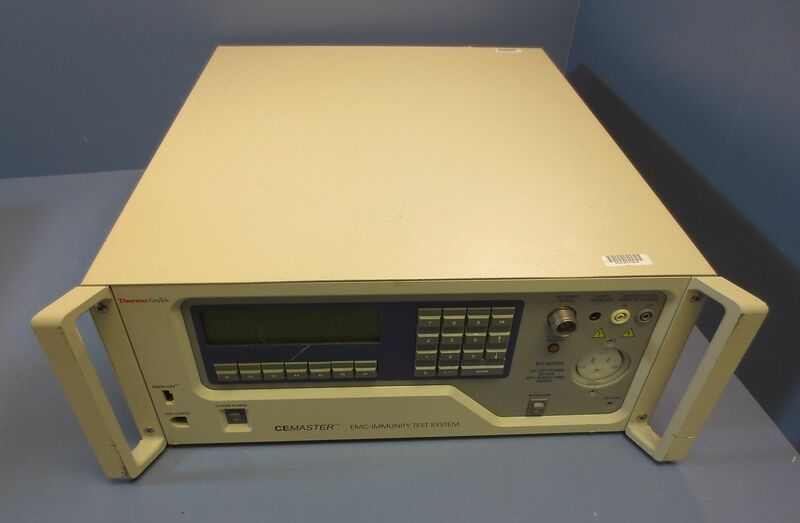 Keysight Agilent AC6803A AC Power Source 2000W 270V 10A - Used and calibrated equipment in perfect working conditions. For sale. 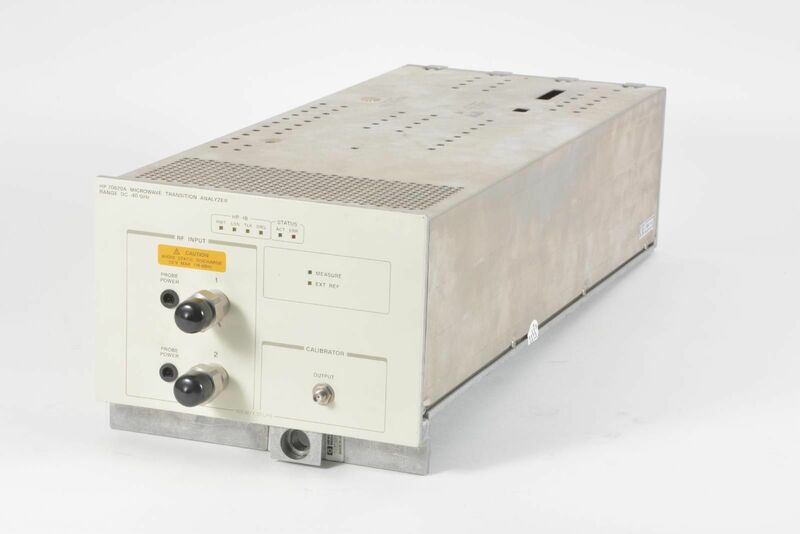 KALMUS LA-100F-CE BROADBAND RF POWER AMPLIFIER VHF 100-250 MHz 100W - 50 dB gain. Used equipment for sale. 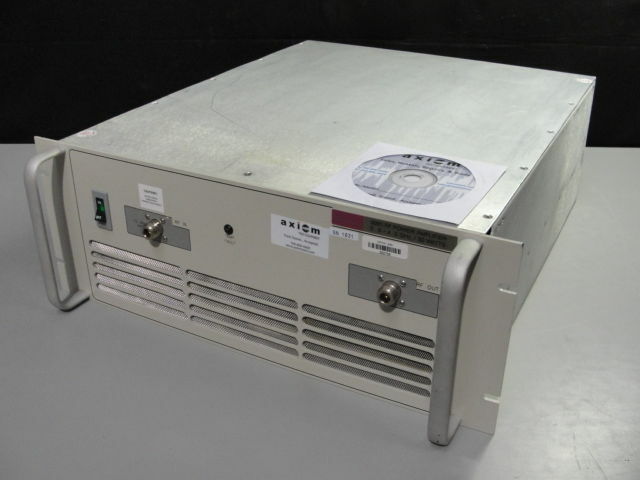 KALMUS LA 100UE-CE BROADBAND RF POWER AMPLIFIER UHF 200-500 MHz 1-2mw 100 W. Used equipment in working conditions. 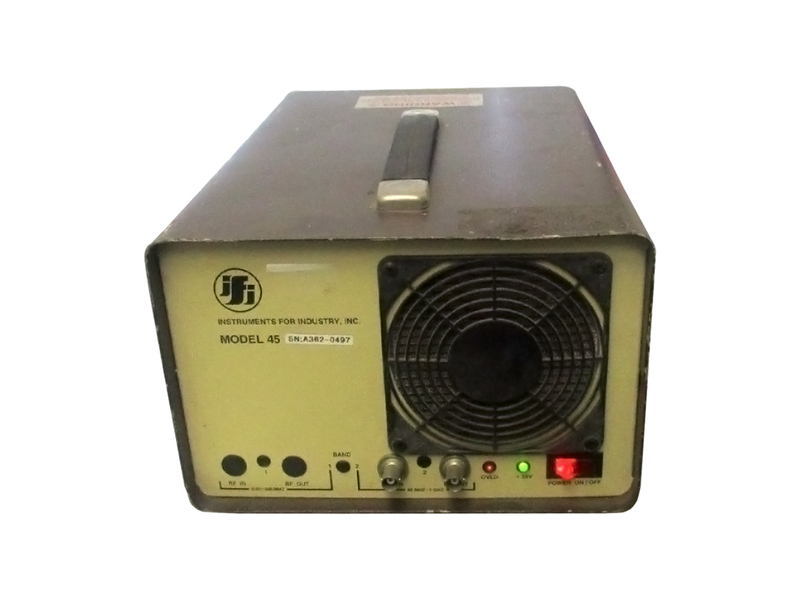 Instruments for Industry - IFI M Series Solid State RF Amplifier Model 45 . It is used in good working conditions. IFI 5300 AMPLIFIER . Frequency: 10 KHz - 250 MHz . Power: 15 WATTS . 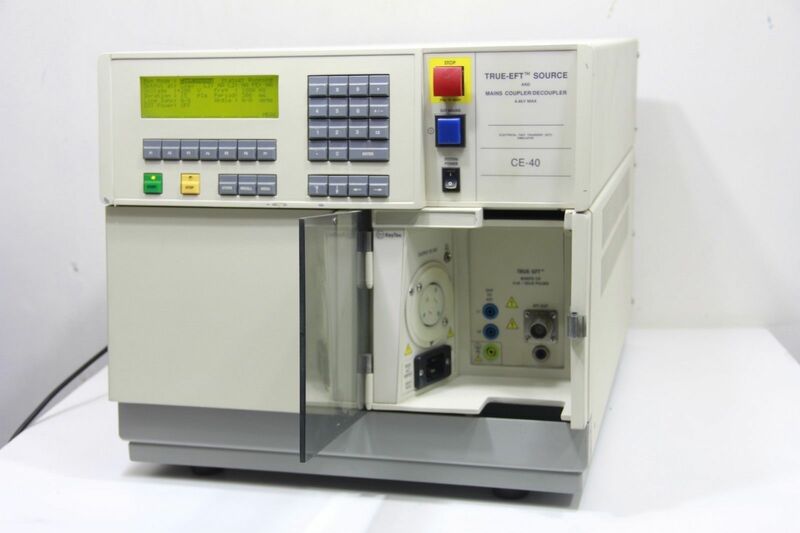 Brand: INSTRUMENTS FOR INDUSTRY EQUIPMENT - Used for sale, buy it now! 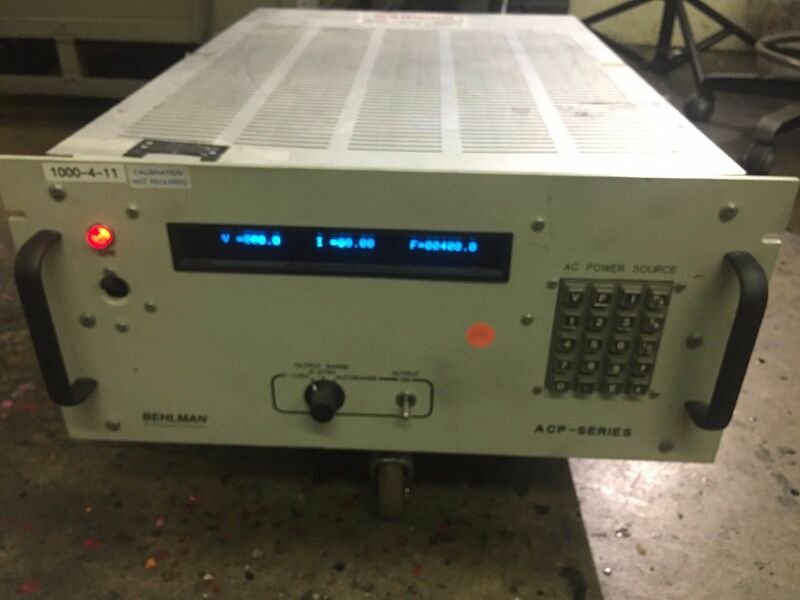 Tested and working..
INSTRUMENTS FOR INDUSTRY IFI 5362 Wideband Amplifier - Frequency: 1 to 500 MHz - USED EQUIPMENT Tested and in perfect working conditions. For sale. Buy it now!